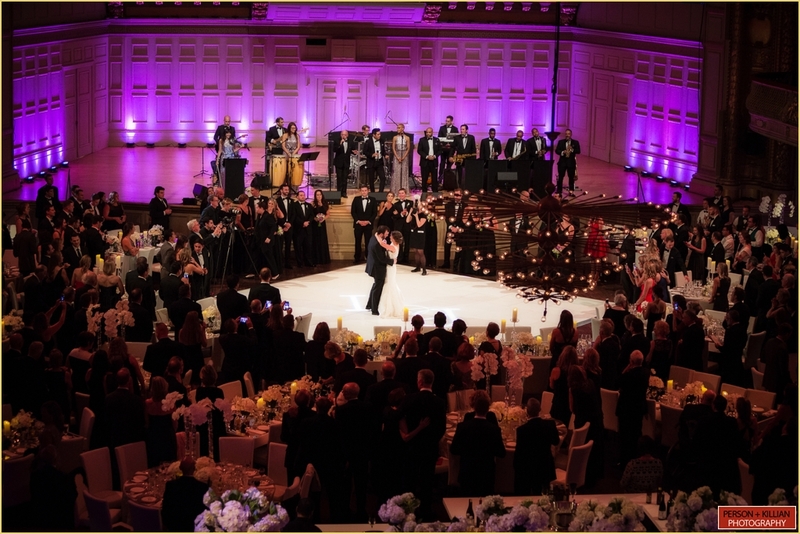 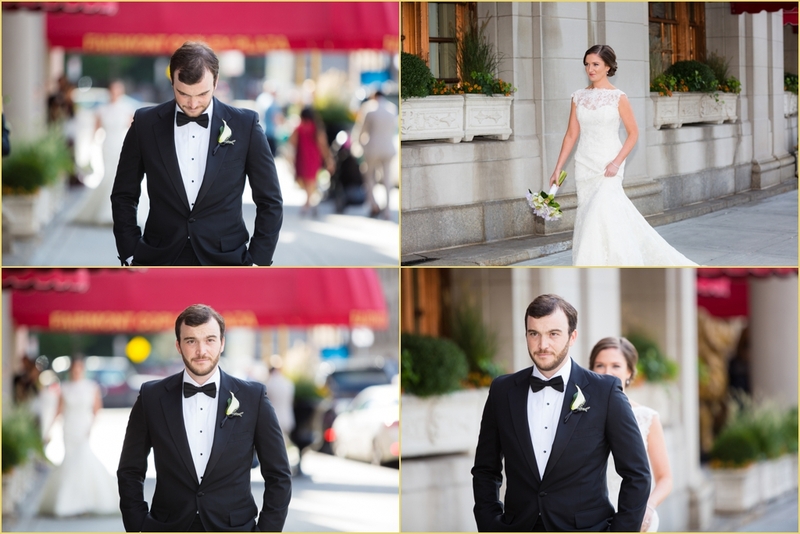 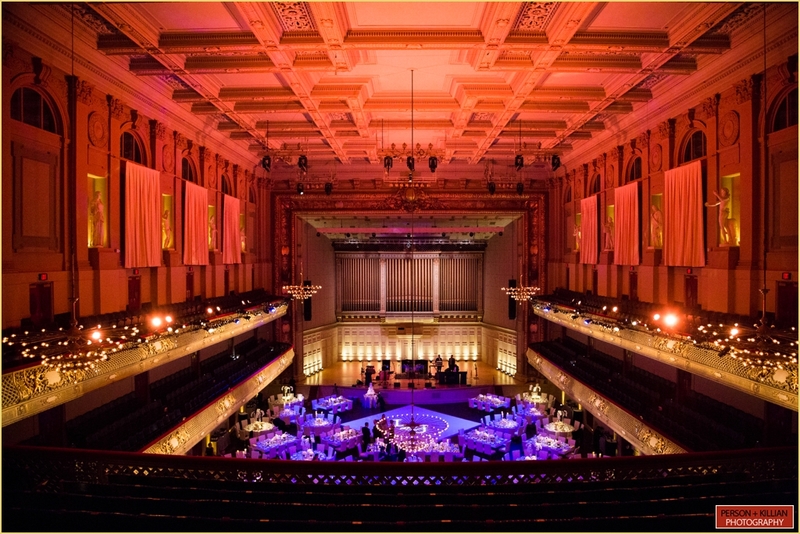 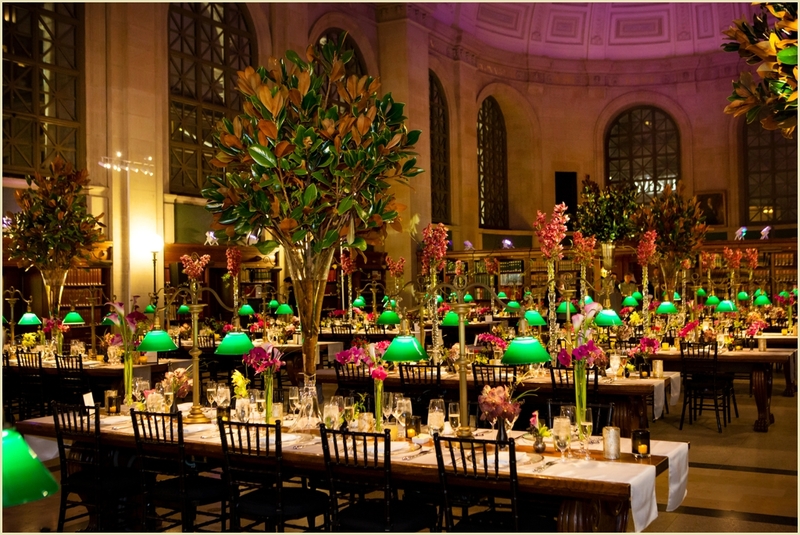 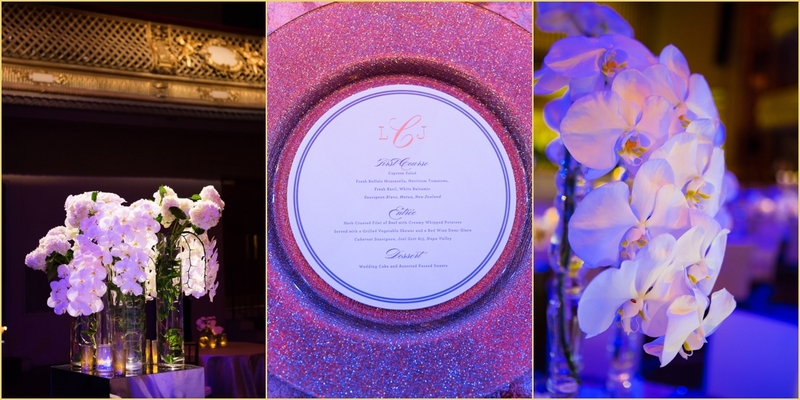 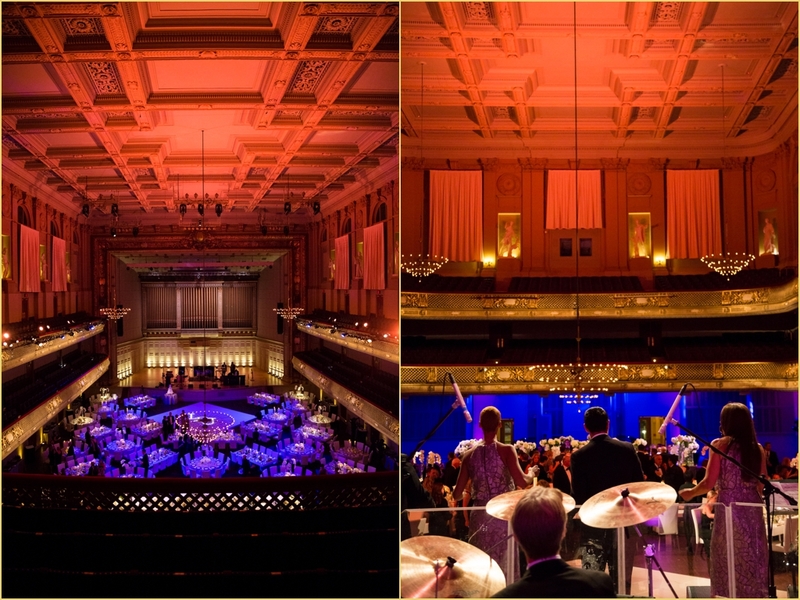 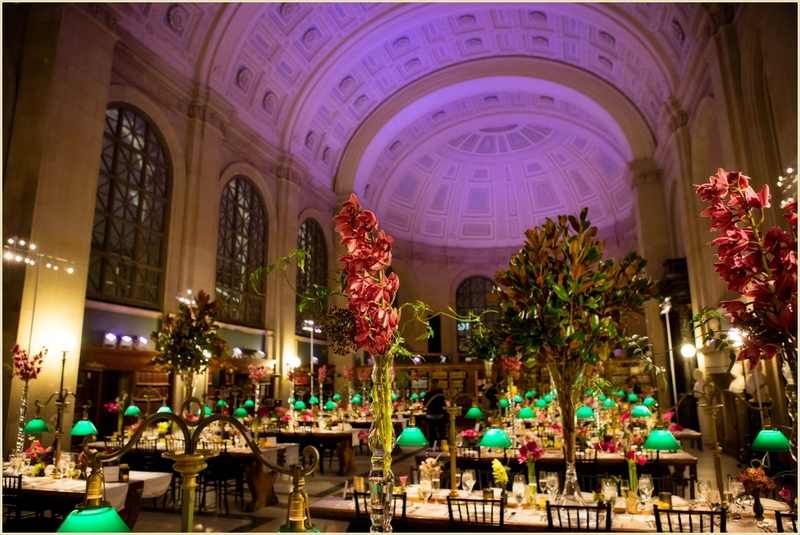 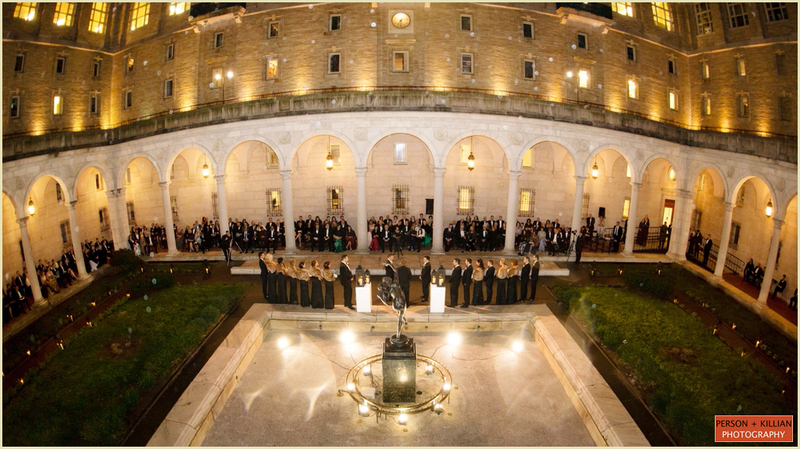 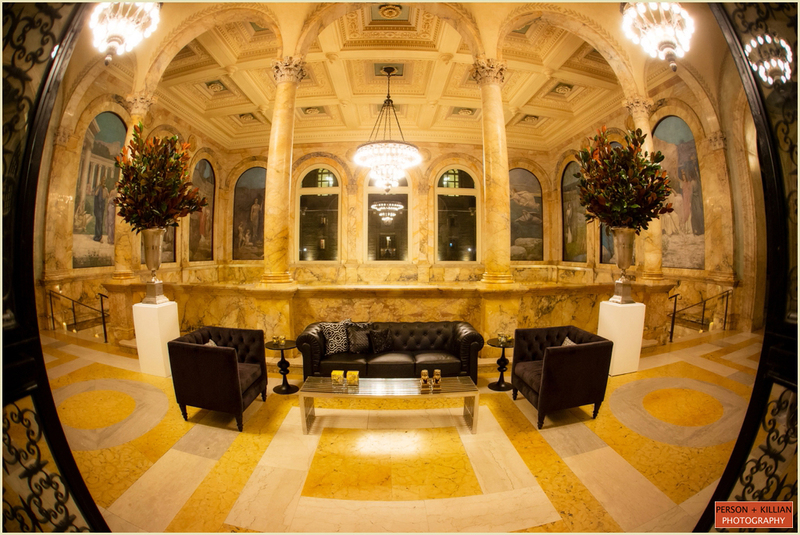 Early this fall we had the pleasure of capturing Lauren & John’s Boston Symphony Hall Wedding with Rafanelli Events. 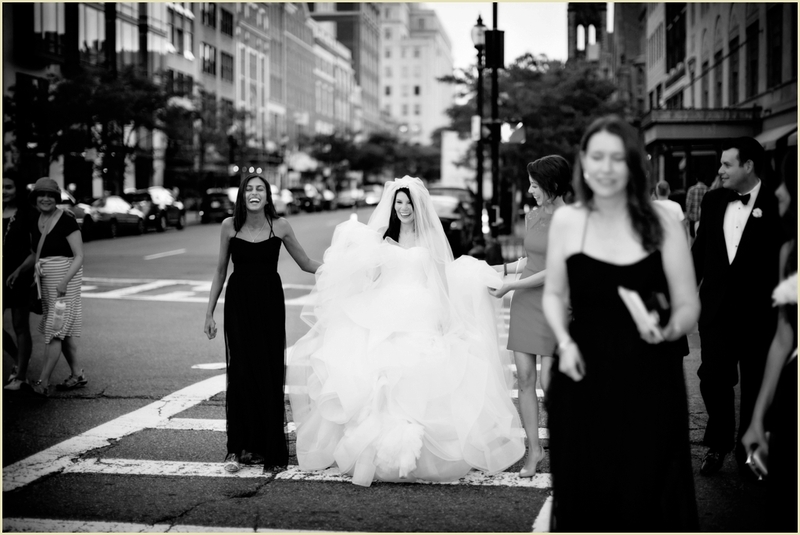 The lovely day began at the Fairmont Copley Hotel in Boston where we found the wedding party readying for the day ahead. 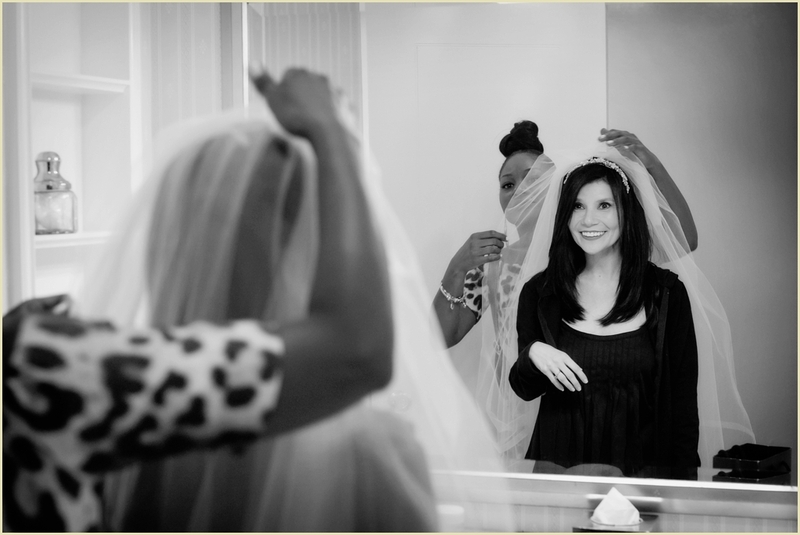 Lauren and her ladies put their finishing touches on while John and his groomsmen dressed nearby. 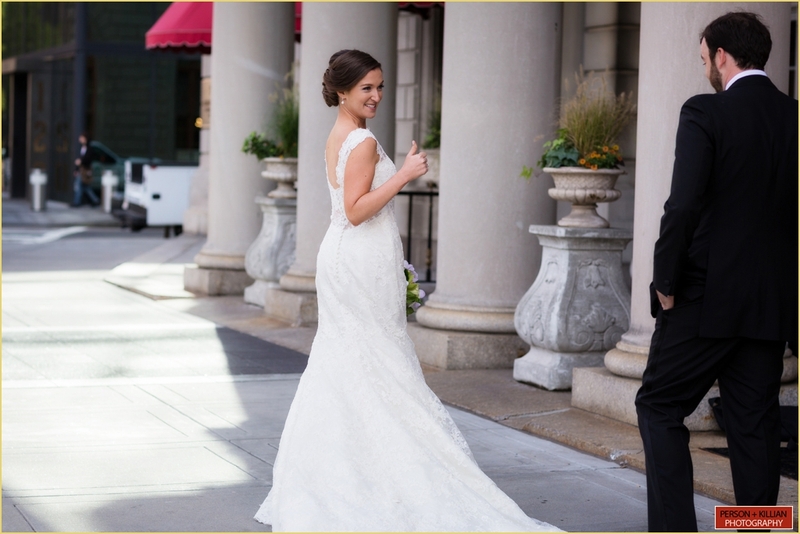 The couple chose to do their First Look on the historic front walkway of the Fairmont Copley. 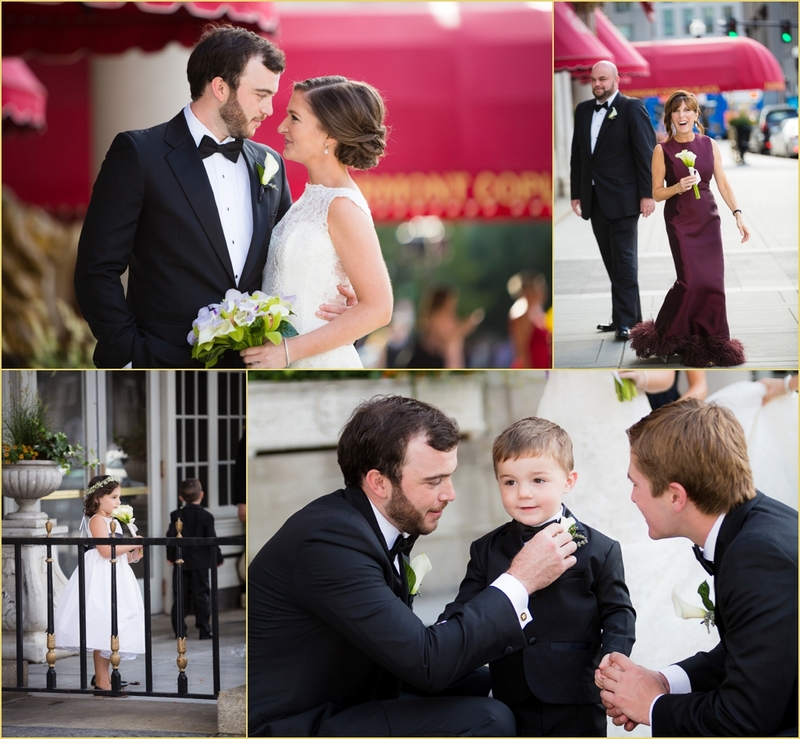 We love capturing this highly anticipated moment and this sweet and loving couple was no exception. 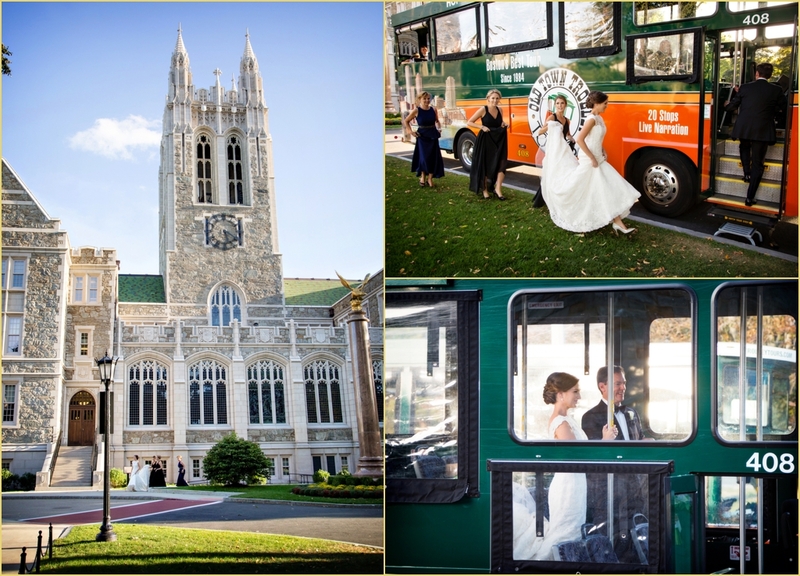 Right after, we hopped on a trolley to head over to the ceremony location in Chestnut Hill. 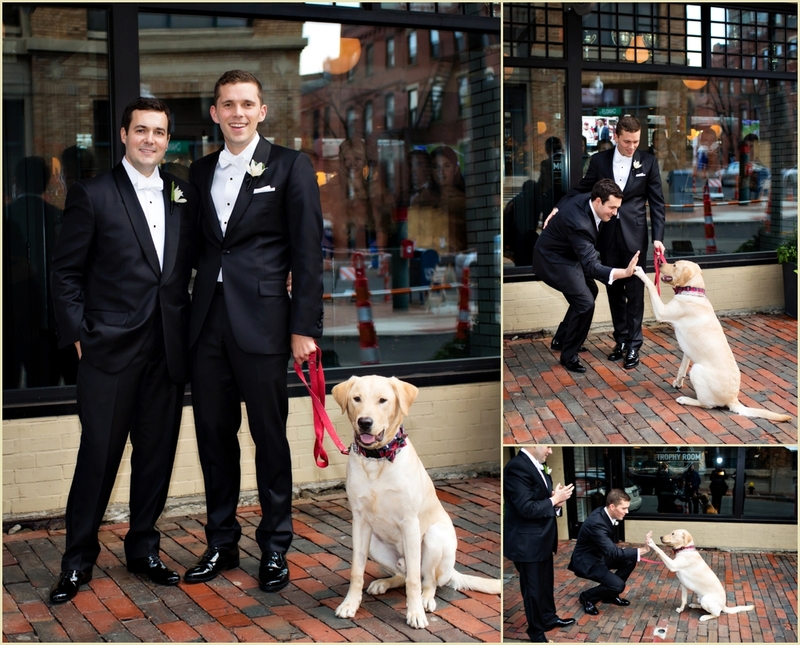 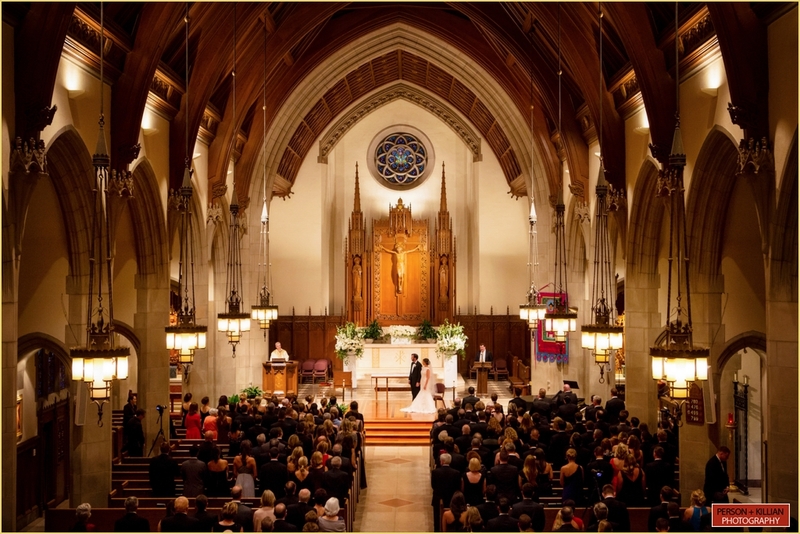 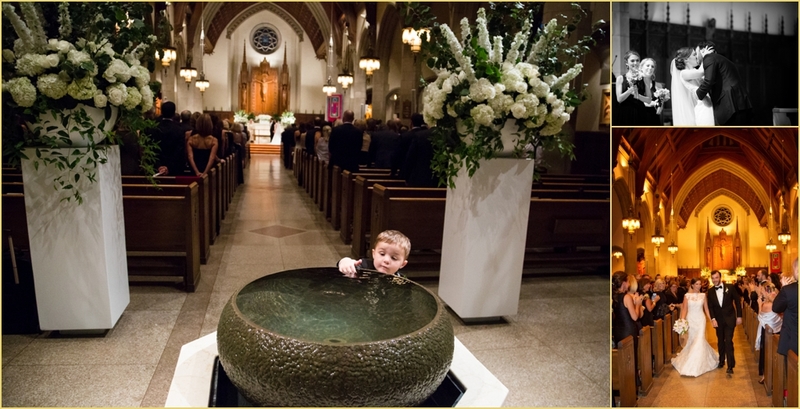 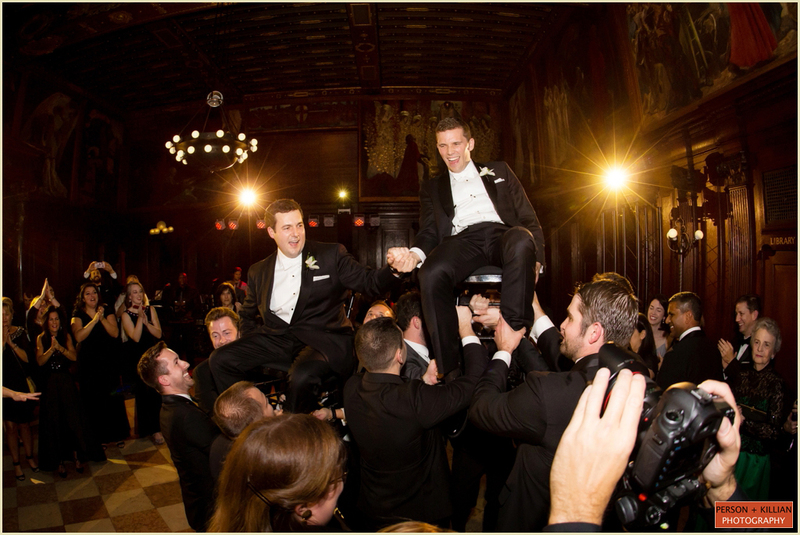 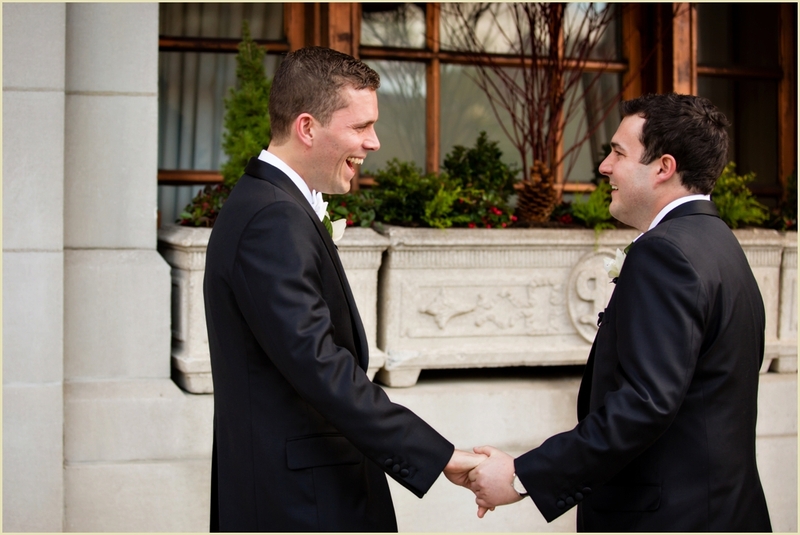 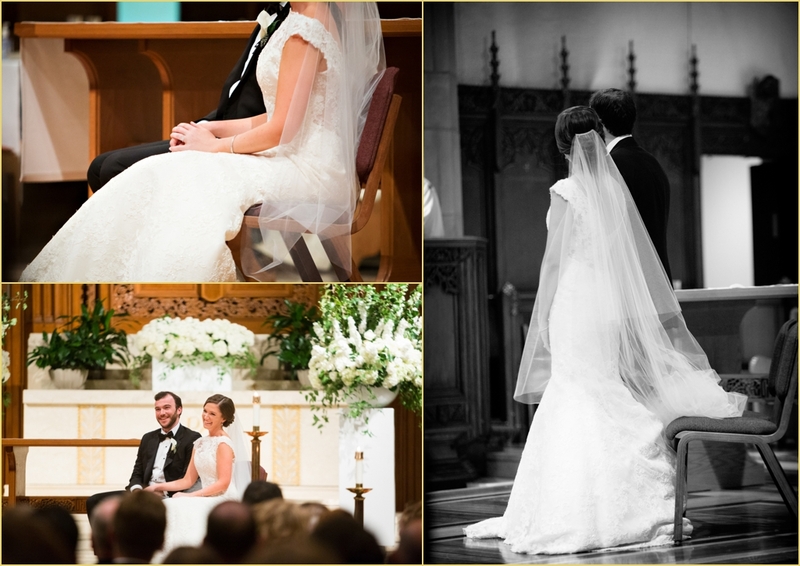 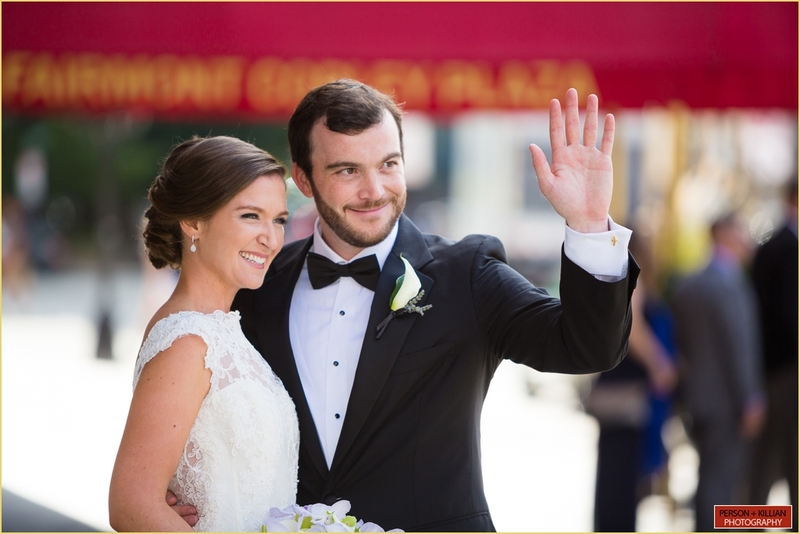 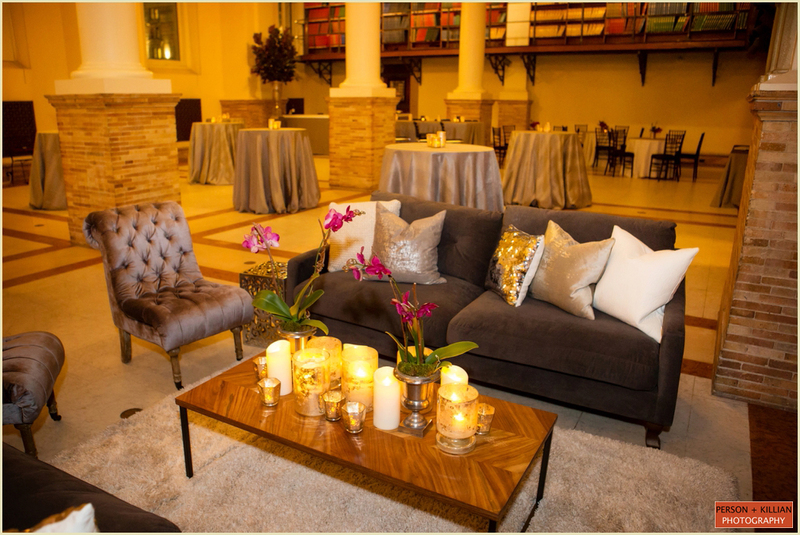 The couple was to be married at St. Ignatius Church on the campus of BC where the couple met! 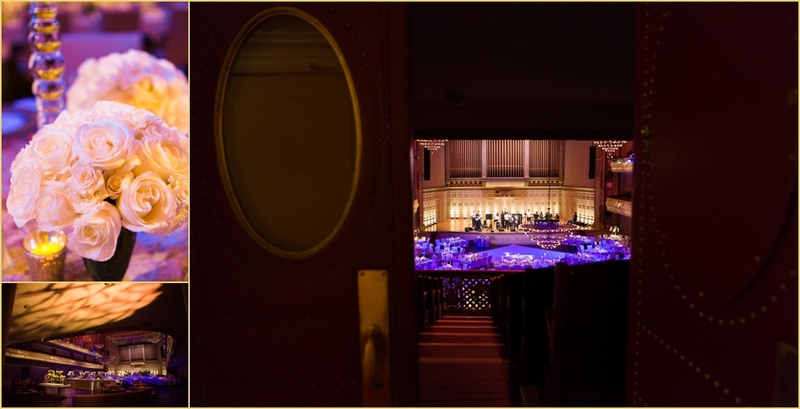 Built in 1900, Boston Symphony Hall is a historic landmark and shooting events there is always remarkable. 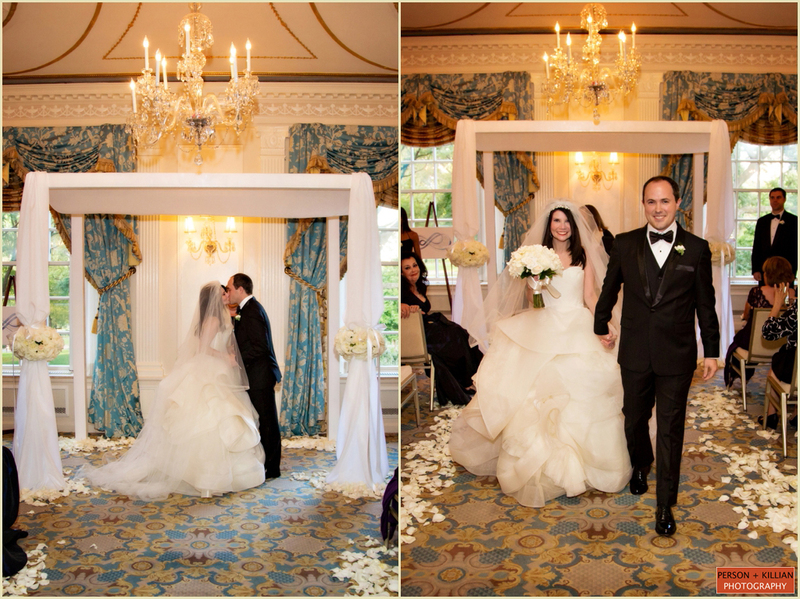 Lauren and John’s vision was brought to reality with a formidable design team. 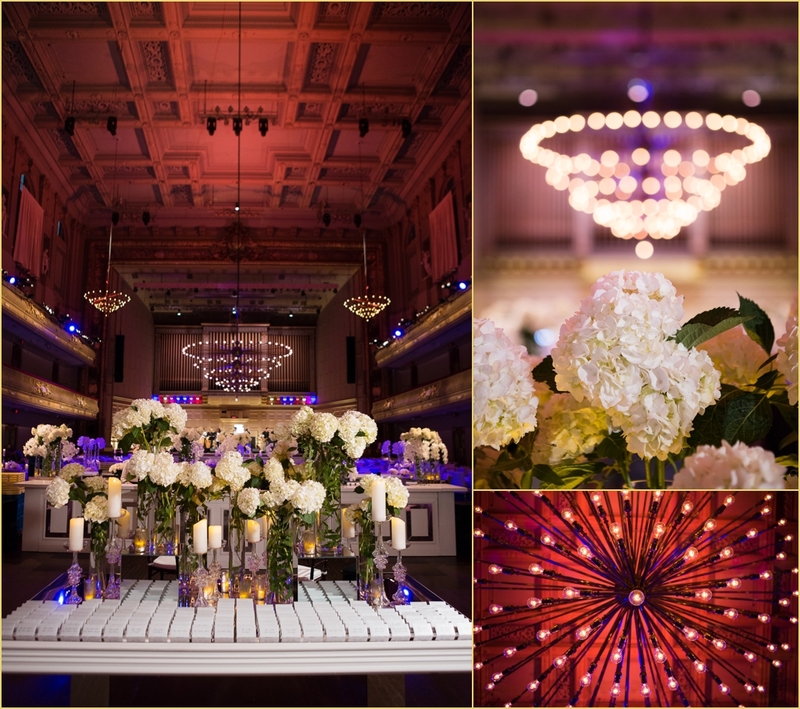 The space was washed in vibrant lighting which accented the architecture. 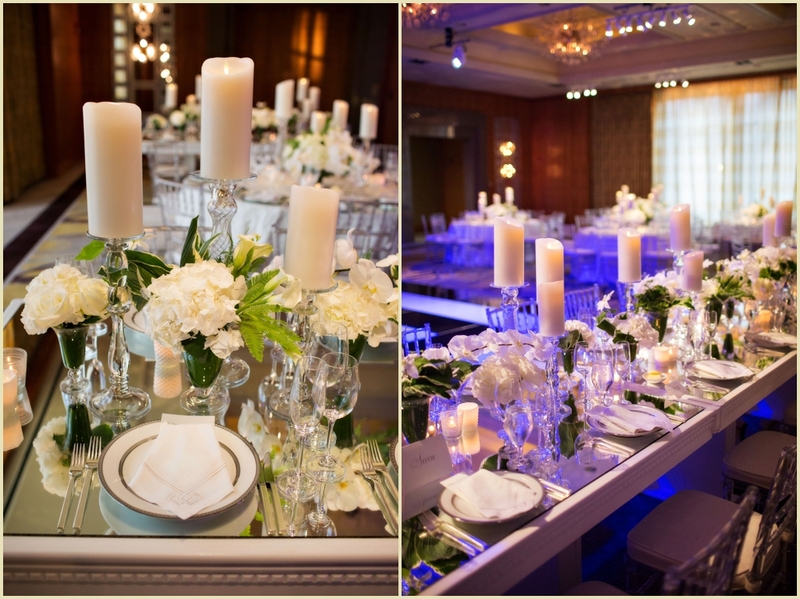 The setting was balanced with modern decor pieces and divine white flowers in assorted arrangements throughout the venue. 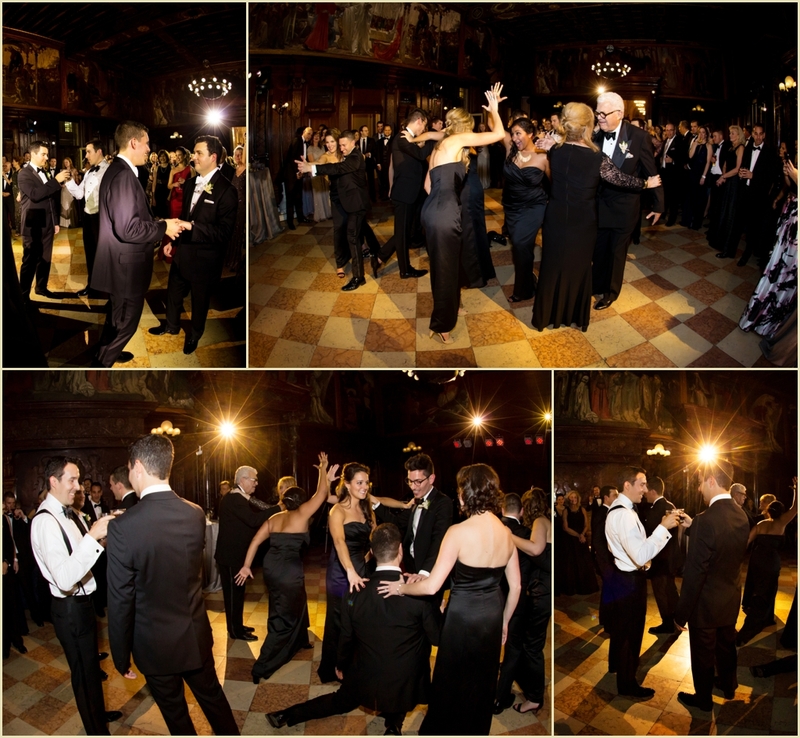 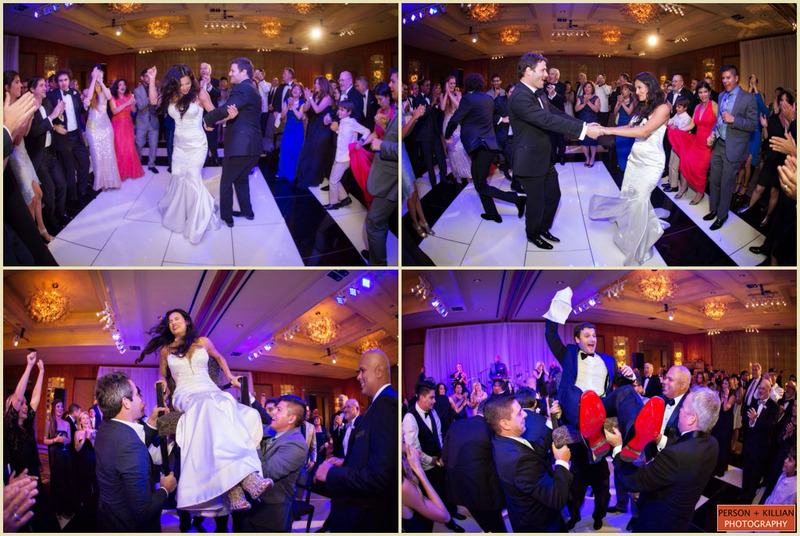 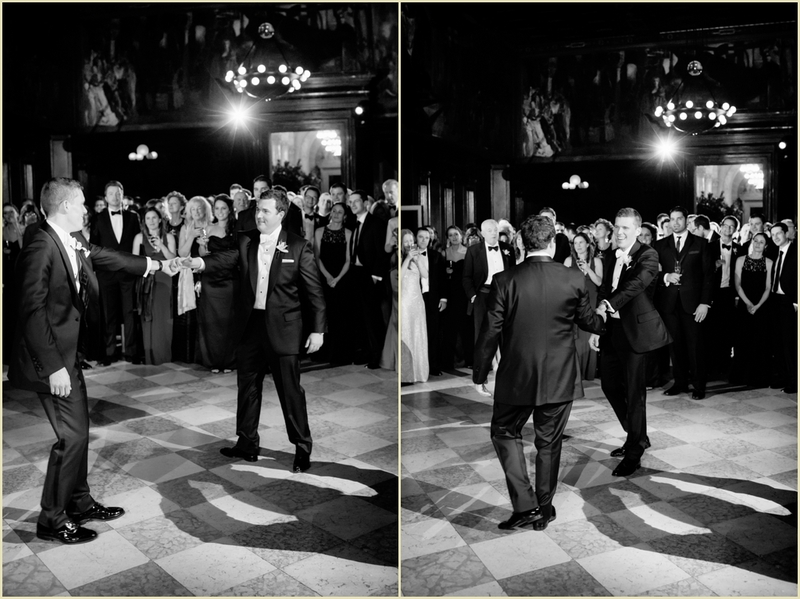 Full of energy with a busy dance floor and enjoyment all around, the celebration continued into the night. 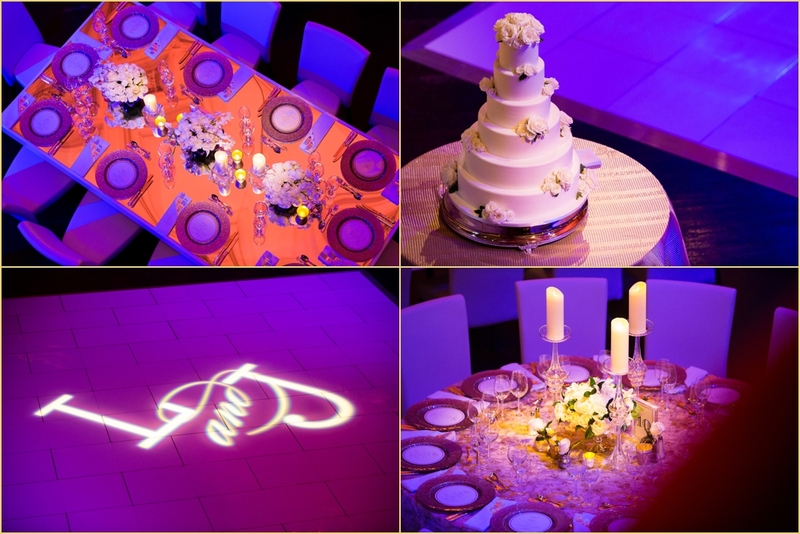 We were fortunate to work with wonderful vendors including the talented team at Rafanelli Events. 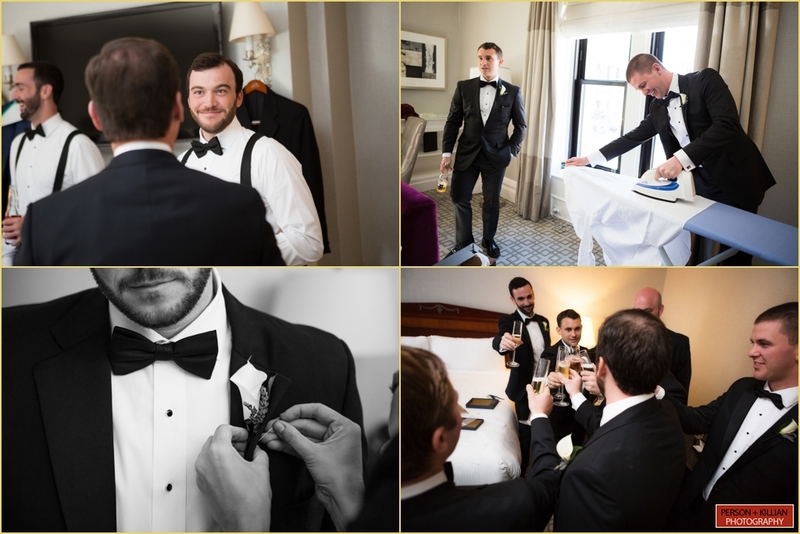 We thoroughly enjoyed being a part of this day, capturing this wedding was an absolute pleasure and thank you again to Lauren and John and their kind and gracious families for having us there! 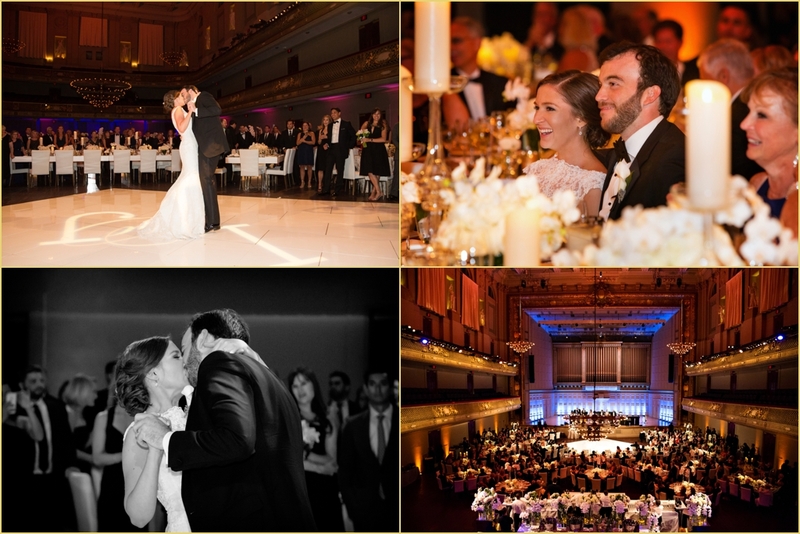 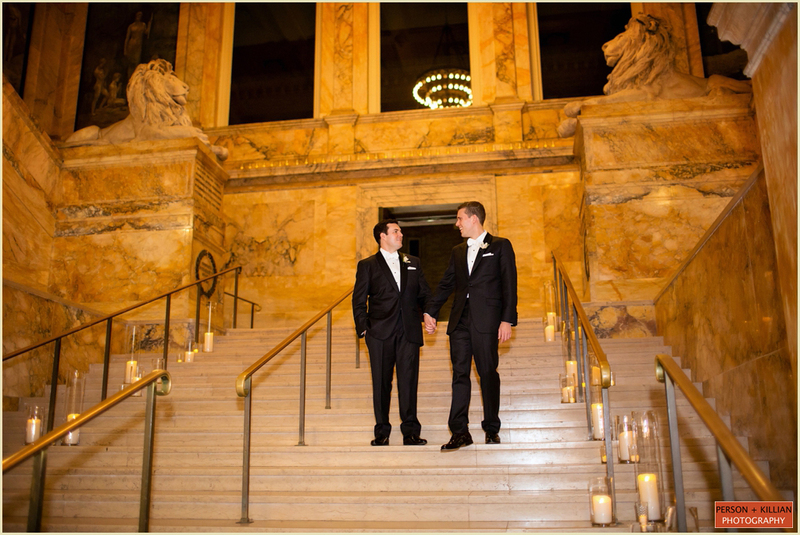 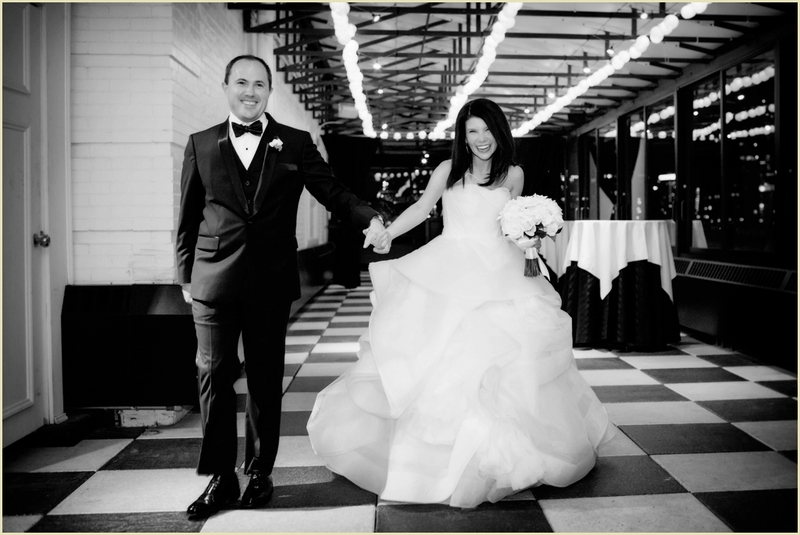 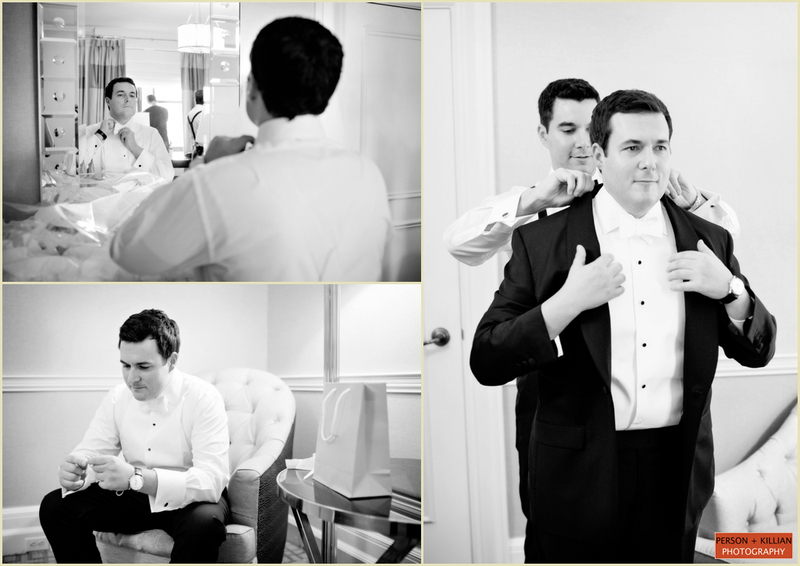 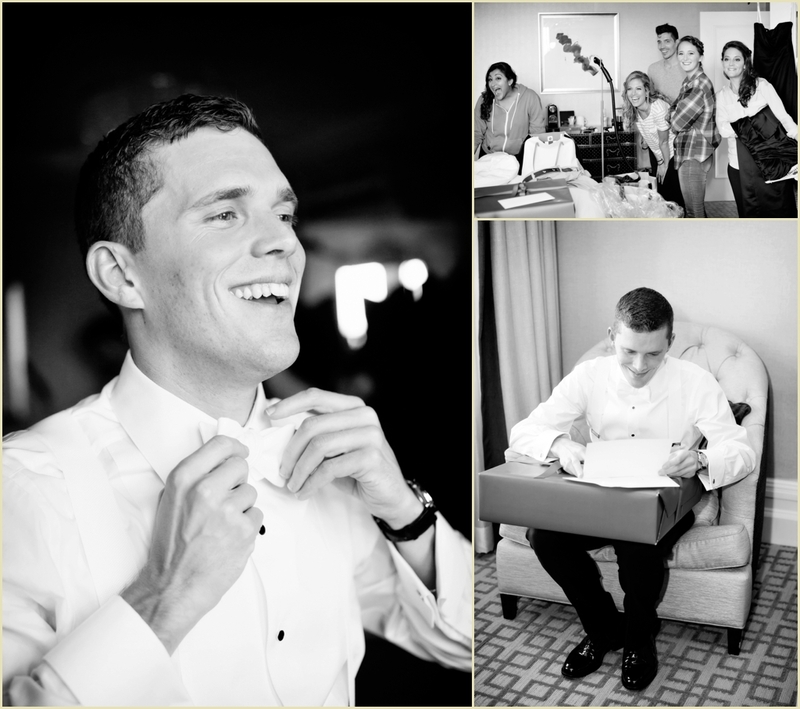 This post is filed under: Lauren and John’s Boston Symphony Hall wedding with Rafanelli Events. 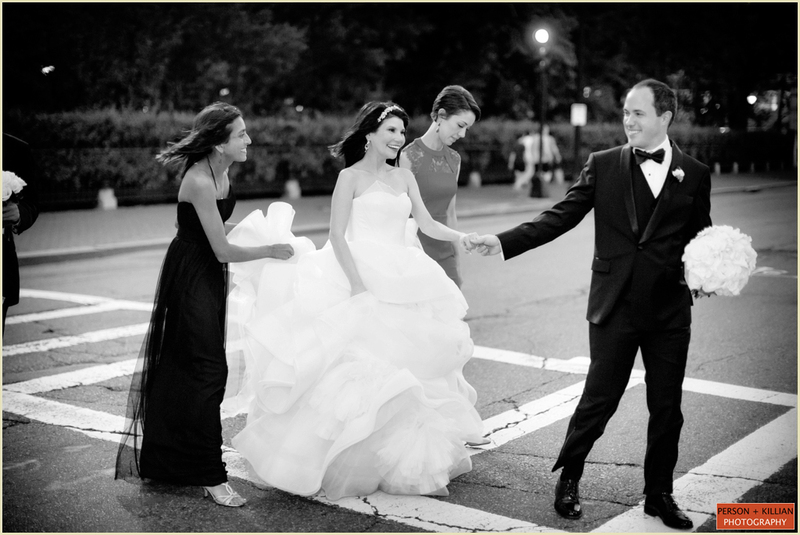 Jill Person and Lauren Killian of Person + Killian Photography. 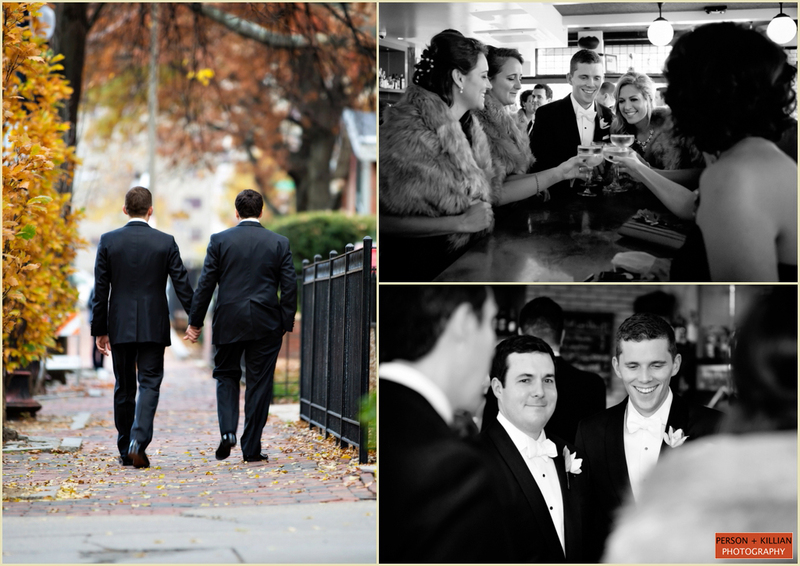 Jill and Lauren can be reached directly through their site at www.PersonKillian.com or via phone: 617-236-1662. 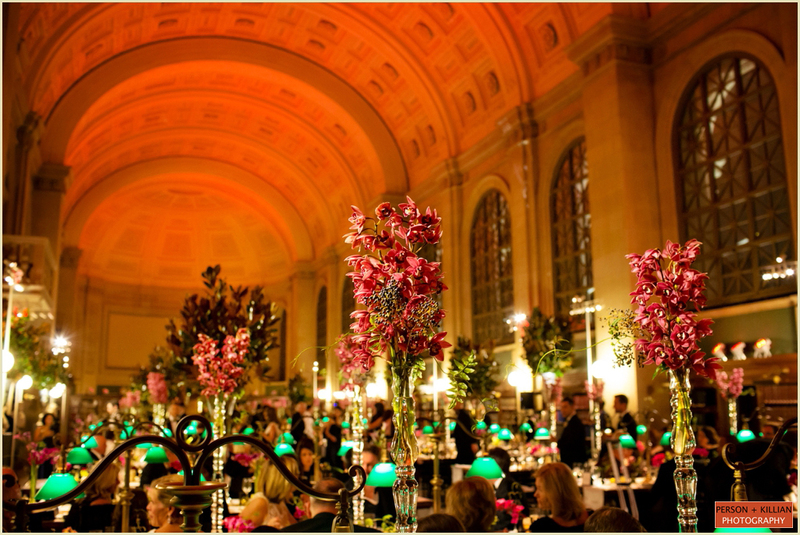 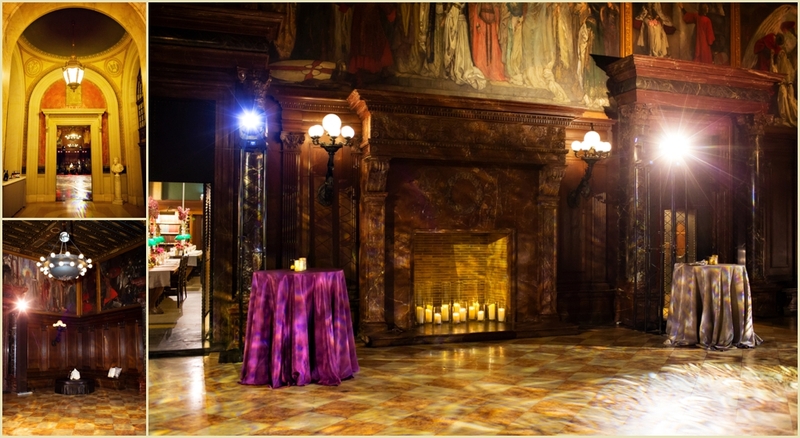 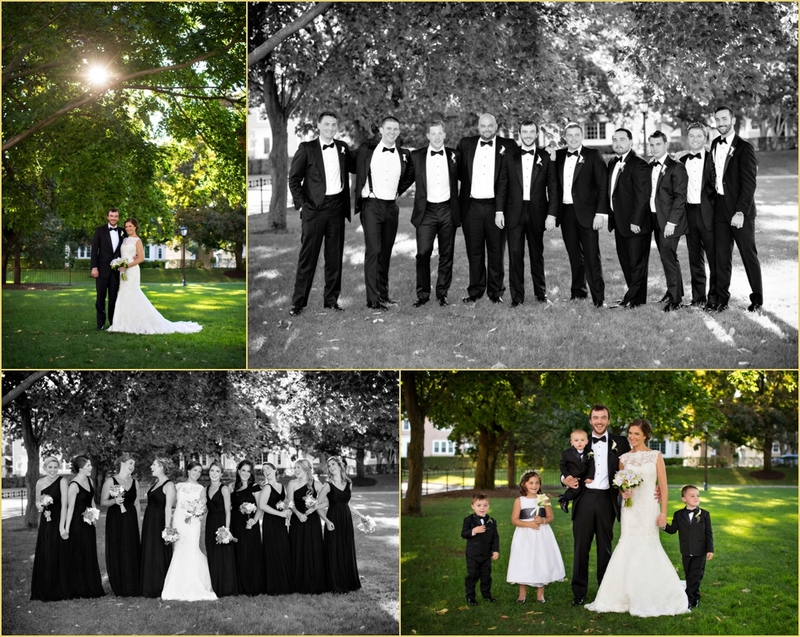 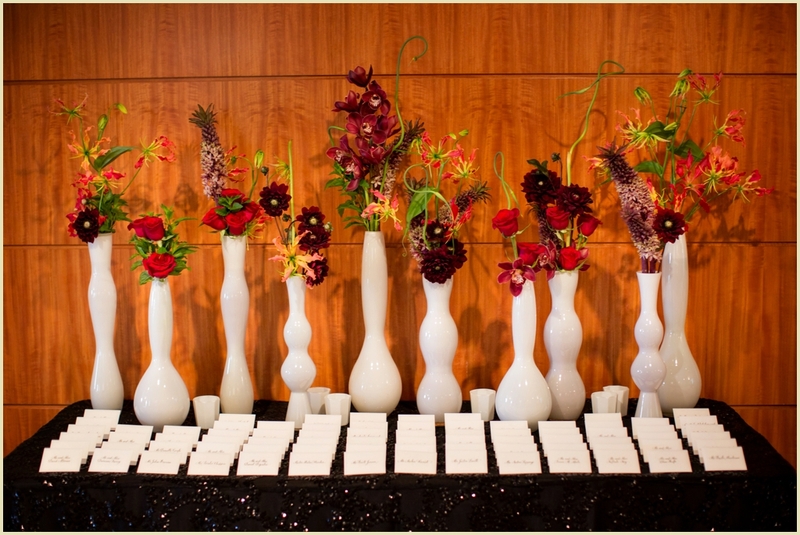 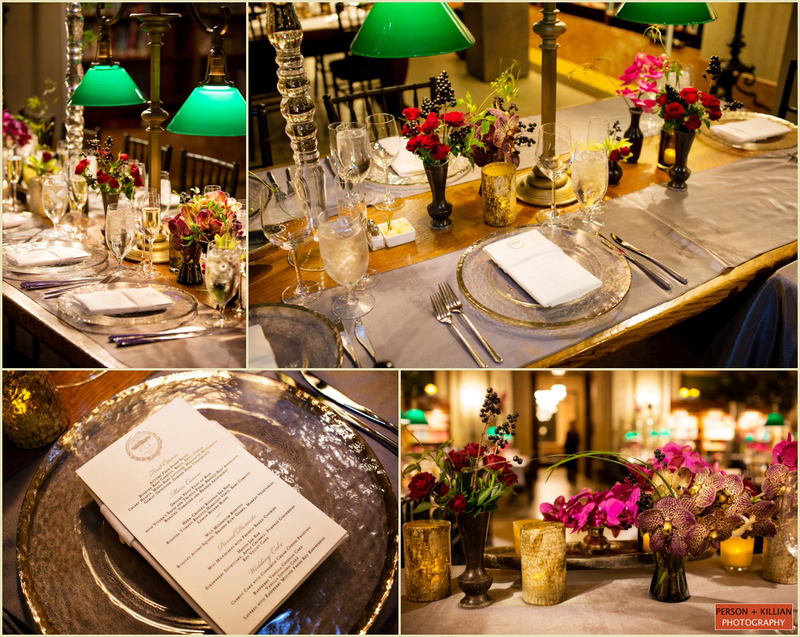 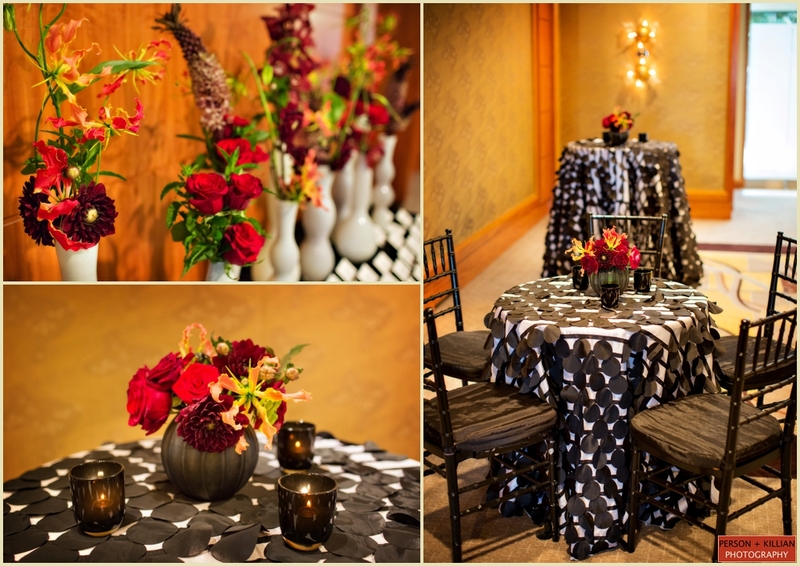 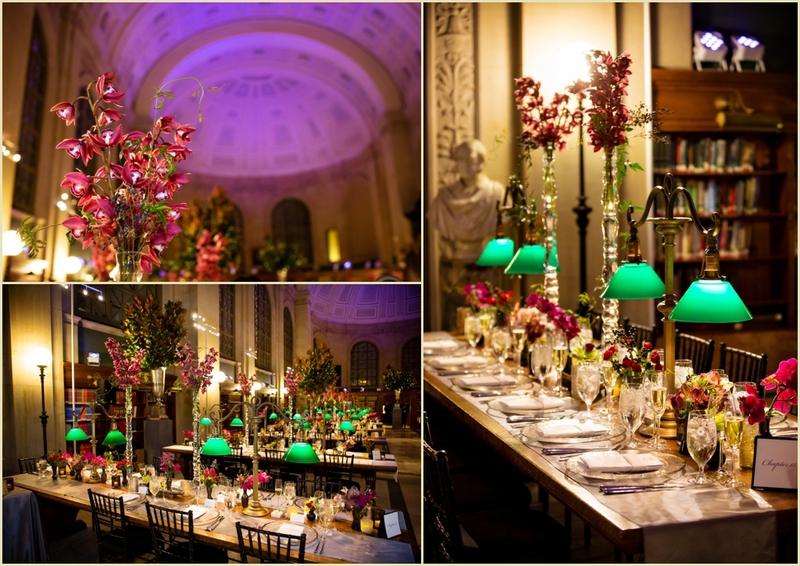 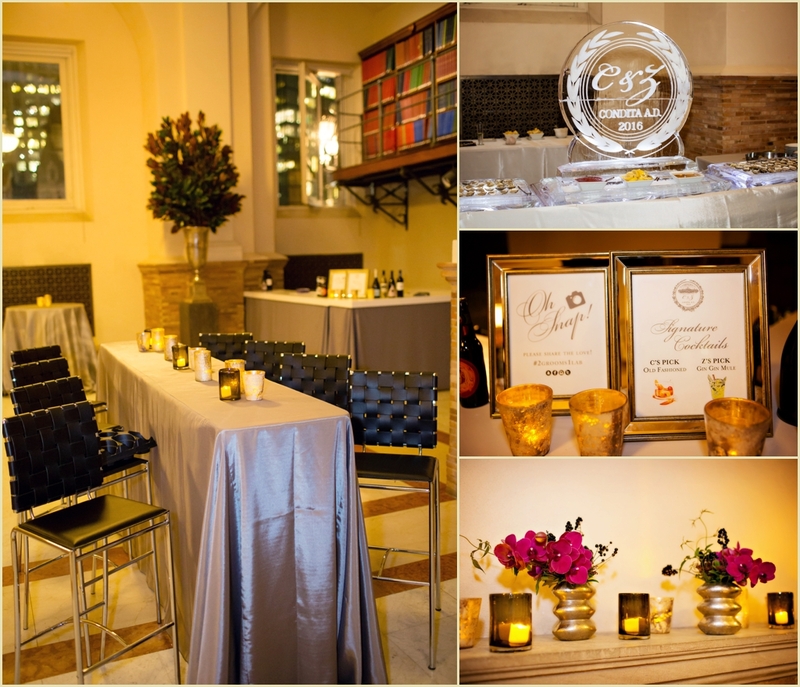 To see more beautiful events we have photographed with Rafanelli Events, please, click here. 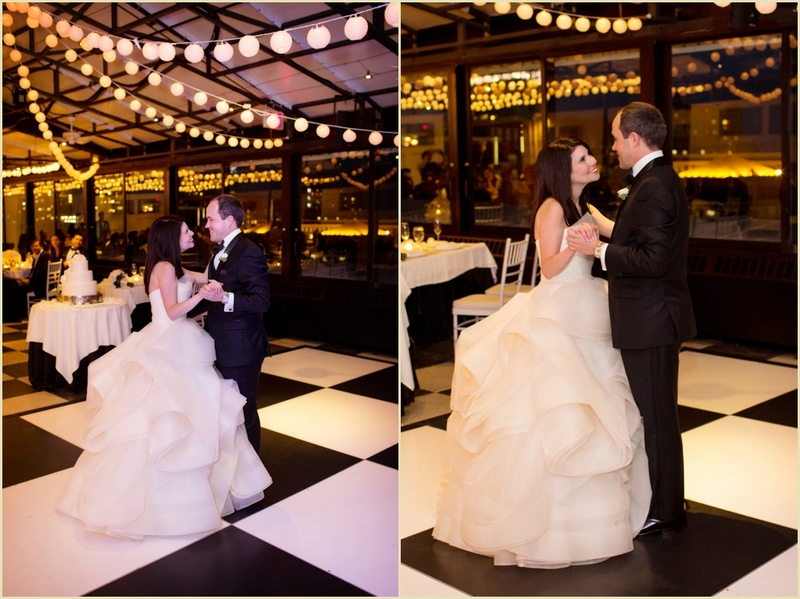 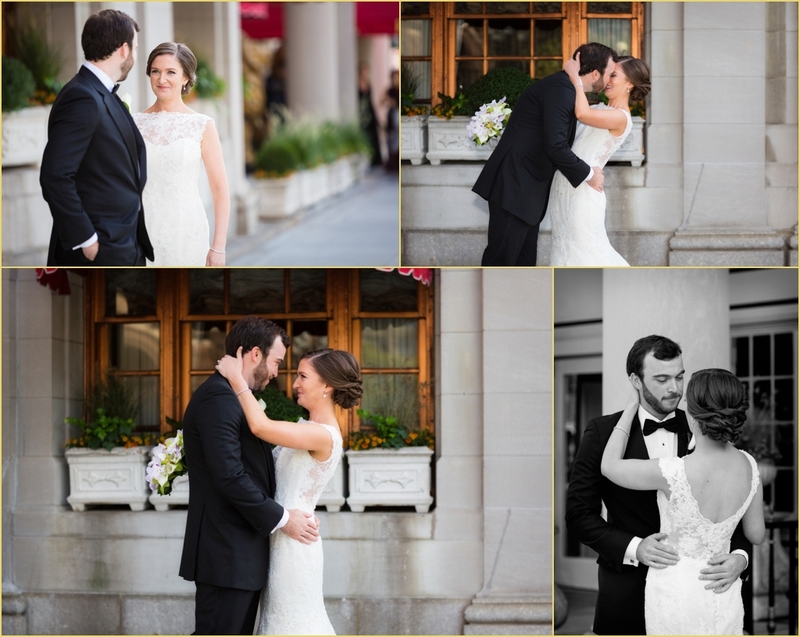 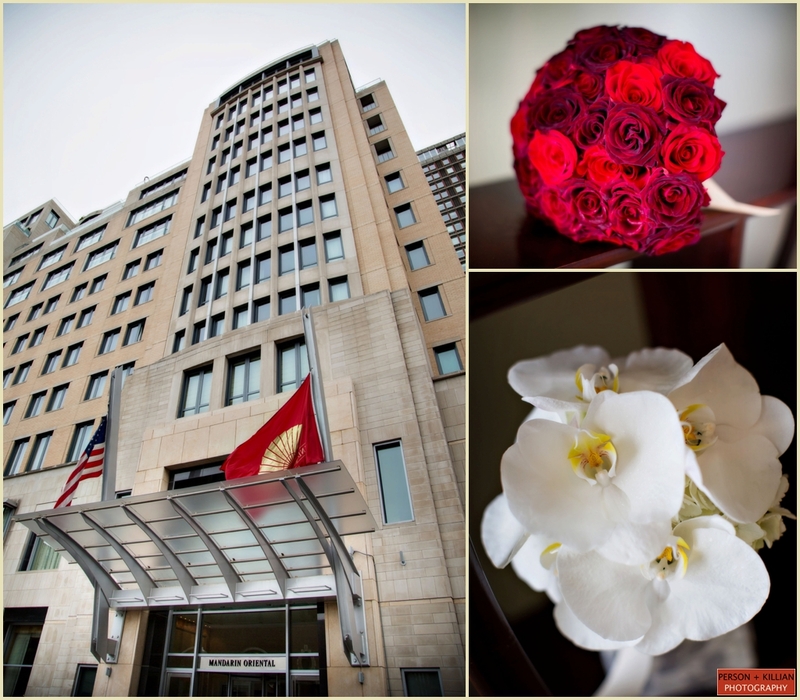 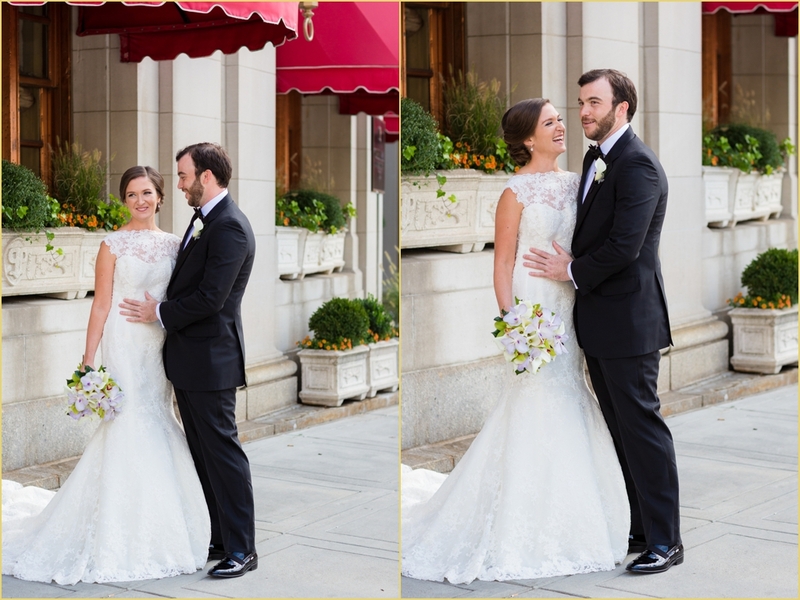 Courtney and Kurt’s Four Seasons Hotel Boston Wedding was a gorgeous autumn event with a vintage and classic feel. 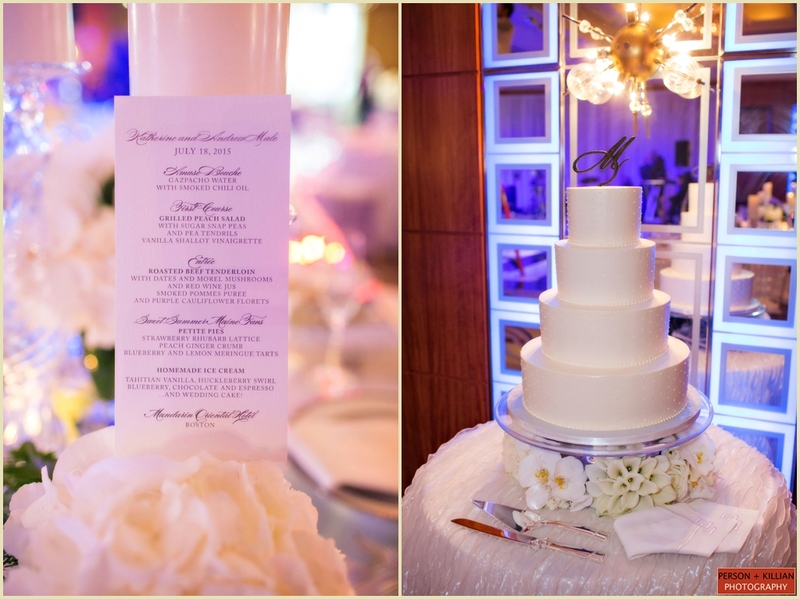 Purple, white and silver colors with birch and organic fall decor was the bride’s inspiration, and the Four Seasons Hotel was the perfect venue to make her unique vision a reality. 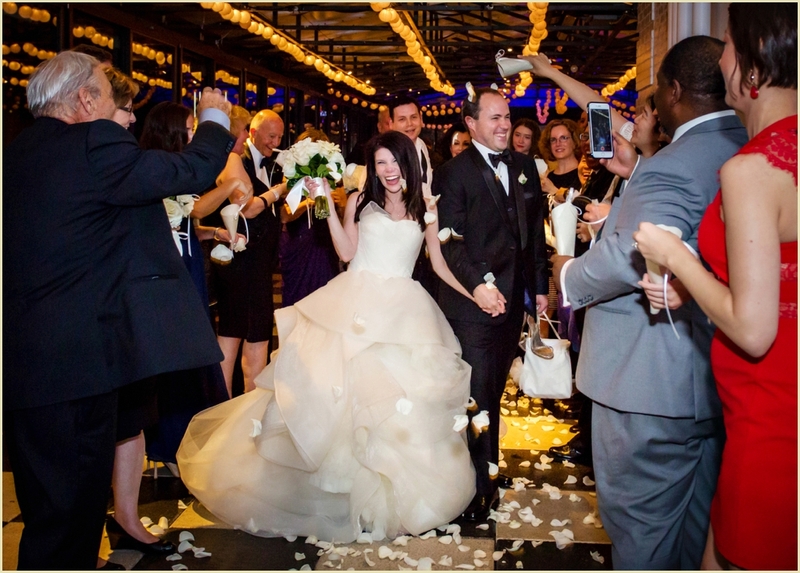 Courtney’s 1920’s engagement ring and Amy Kuschel lace cap sleeve wedding gown were gorgeous details that added to this classic affair. 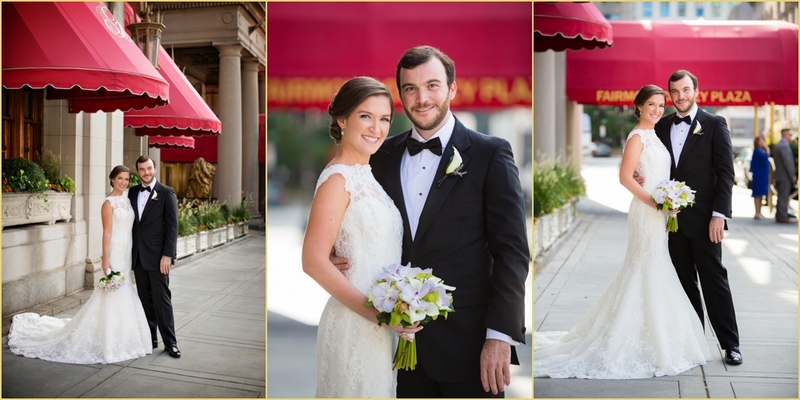 The couple got ready at the Four Seasons and we were able to capture their special first look atop the grand staircase under a stunning crystal chandelier. 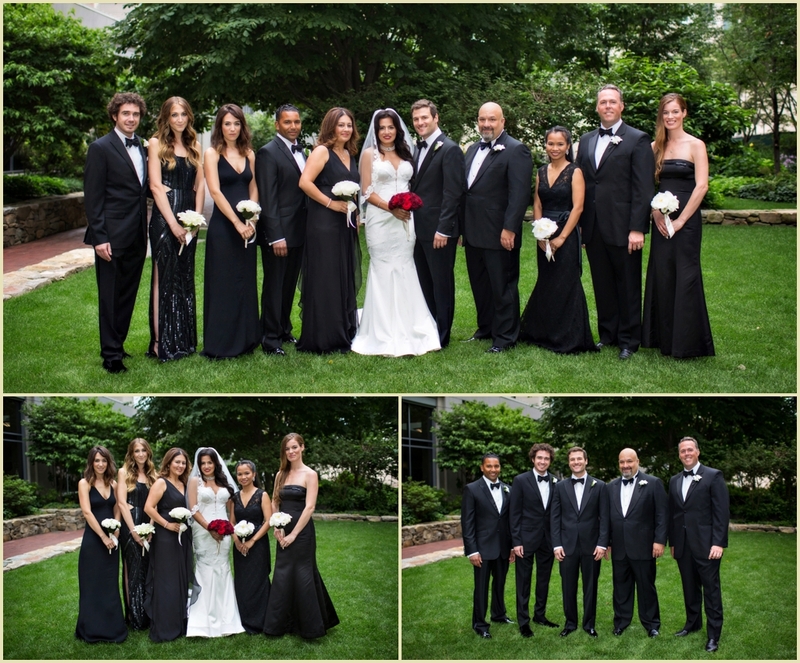 We were joined by the wedding party and continued taking photographs around the hotel before the intimate wedding ceremony. 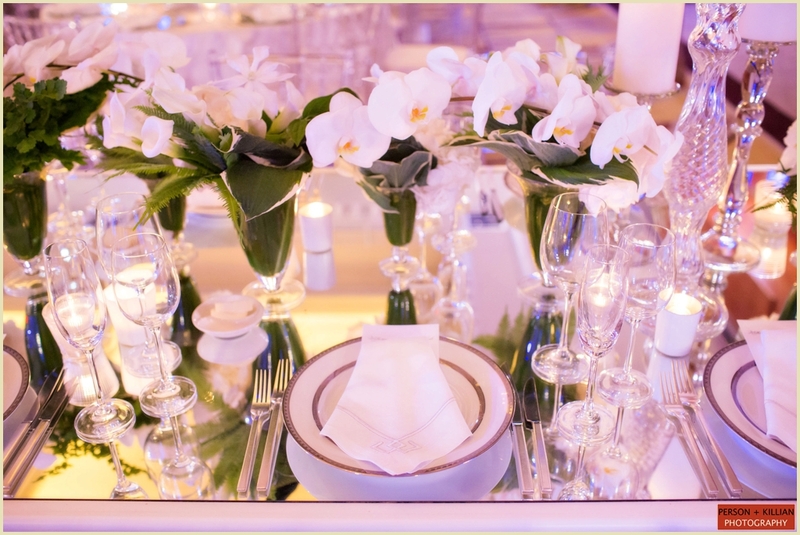 The bride’s deep purple bouquet of orchids from Winston’s matched perfectly with her bridesmaids dresses, and these stunning floral selections continued throughout the night. 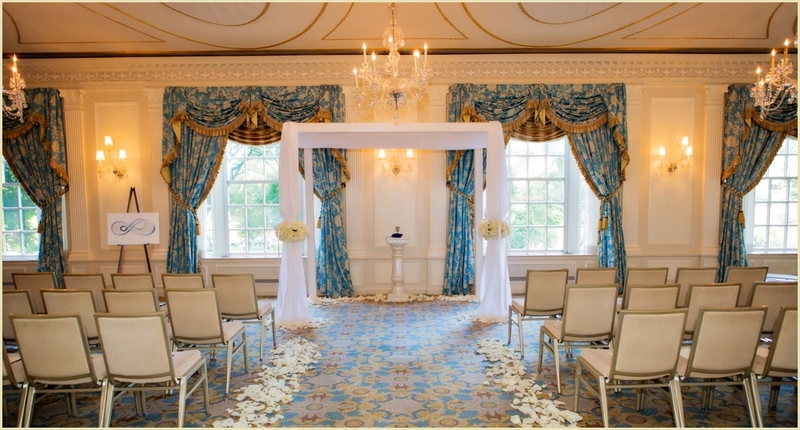 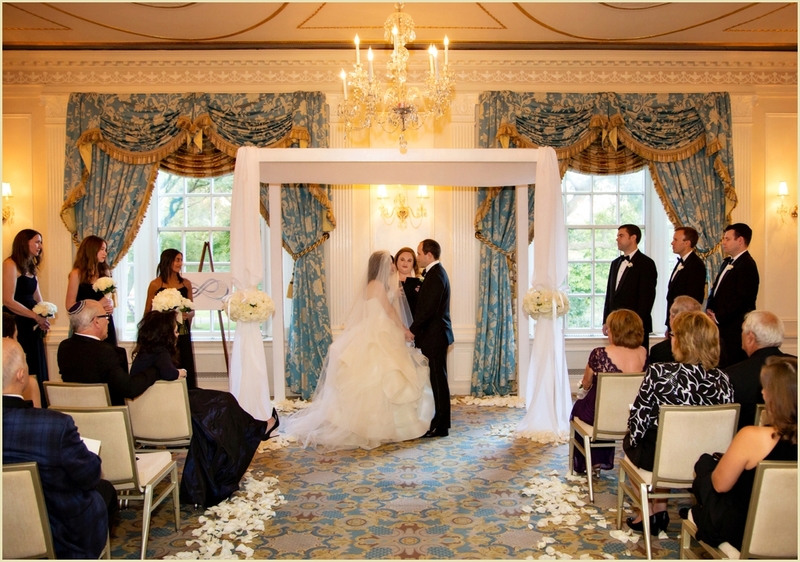 The Stuart Room was transformed for the ceremony with pine trees, birch, ivory hydrangeas and delicate moss. 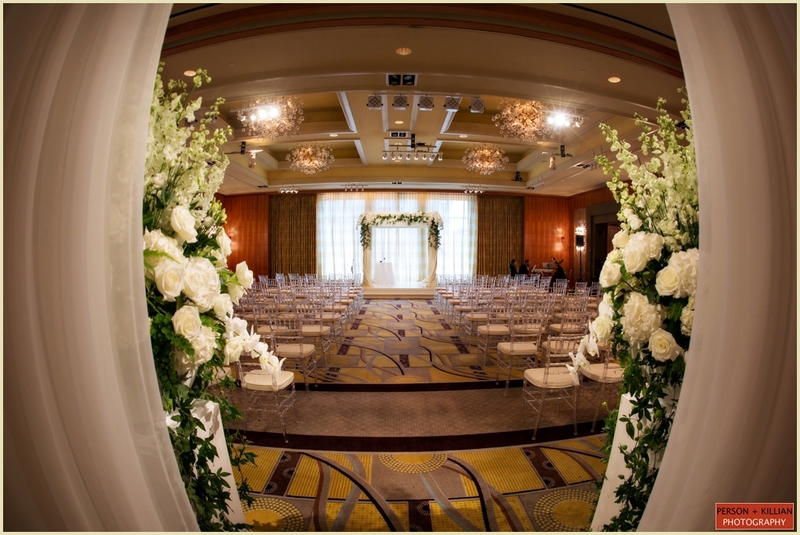 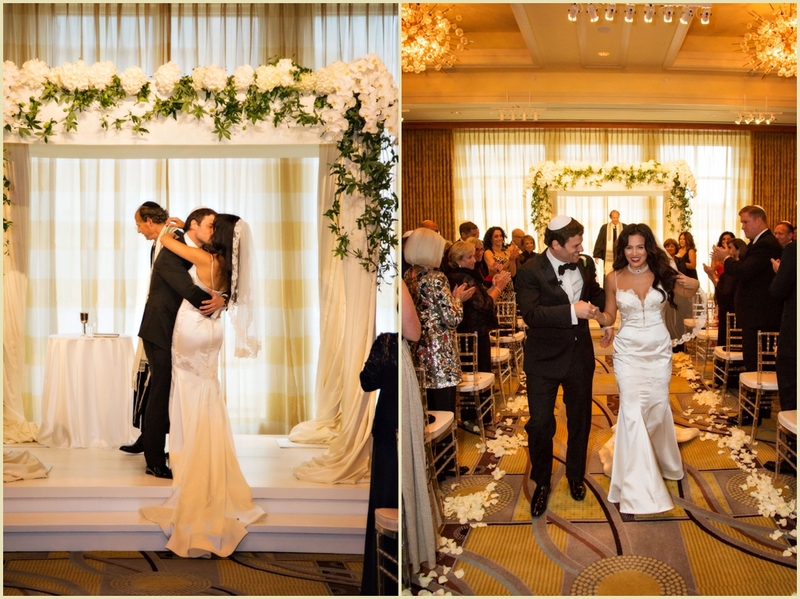 The aisle was lined with white rose petals which highlighted the warmth and romance of this special event. 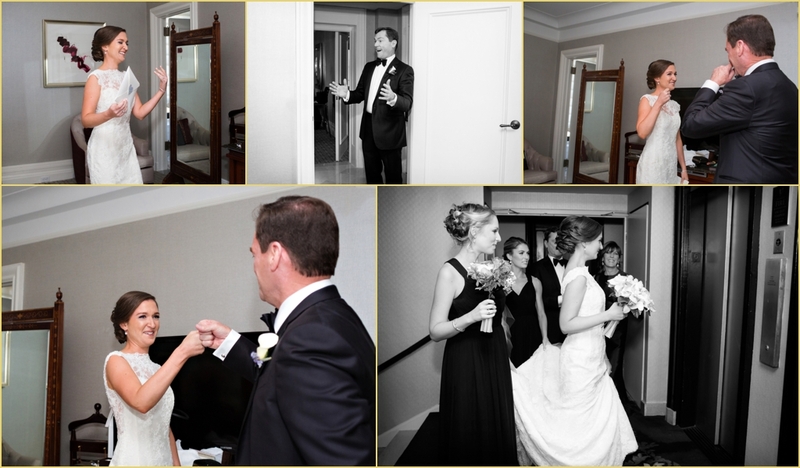 Following the ceremony, guests headed to the Aujourd’hui room to begin celebrating with the newlyweds. 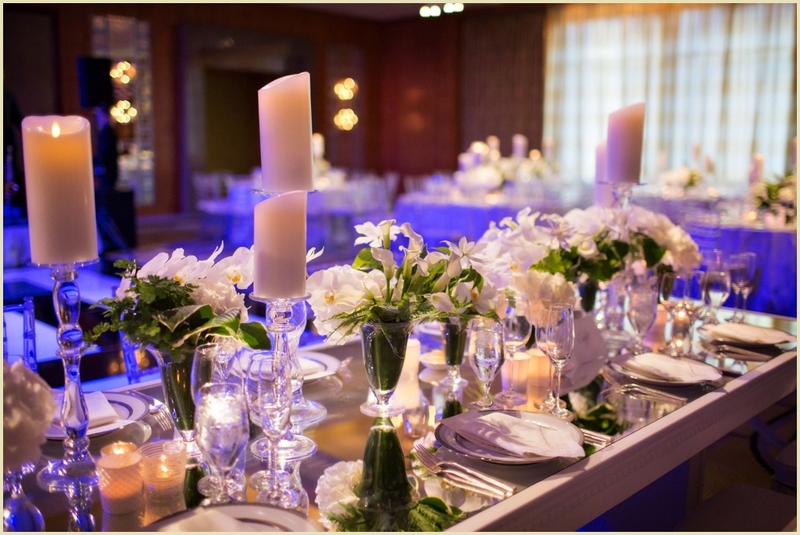 Unique botanical touches including pinecones, birch bark and purple floral centerpieces combined with the spectacular lighting by Suzanne B. Lowell made the room come to life with an aura of elegant simplicity and distinctively classic New England flair. 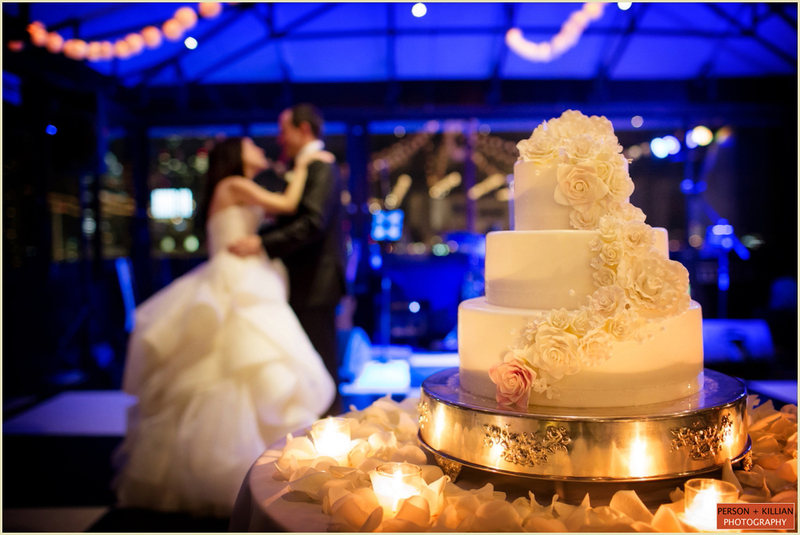 During the reception the couple shared their first dance and enjoyed a classic three tier white wedding cake. 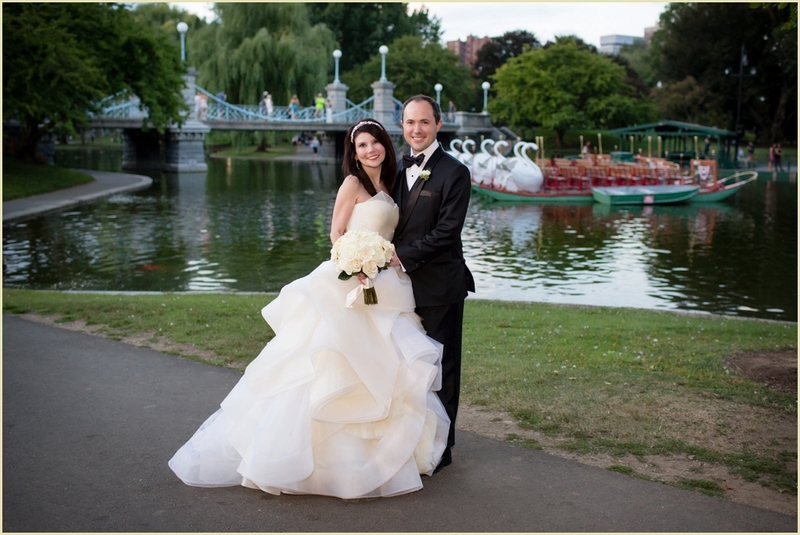 This Four Seasons Boston Wedding was truly a classic stunner with beautiful blooms from Winston’s, inspiring and unique vintage decor and this wonderful couple and their guests. 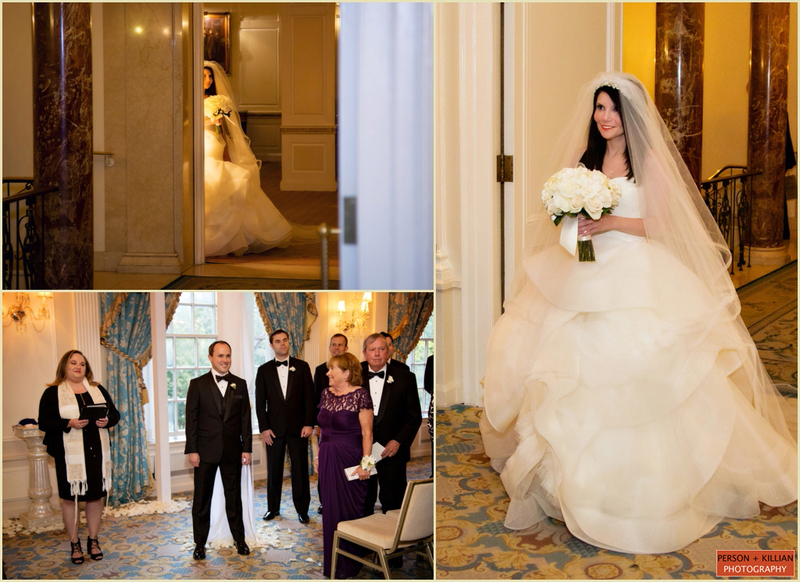 Thank you Robyn Yee and the entire team at The Four Seasons for being so wonderful to work with. 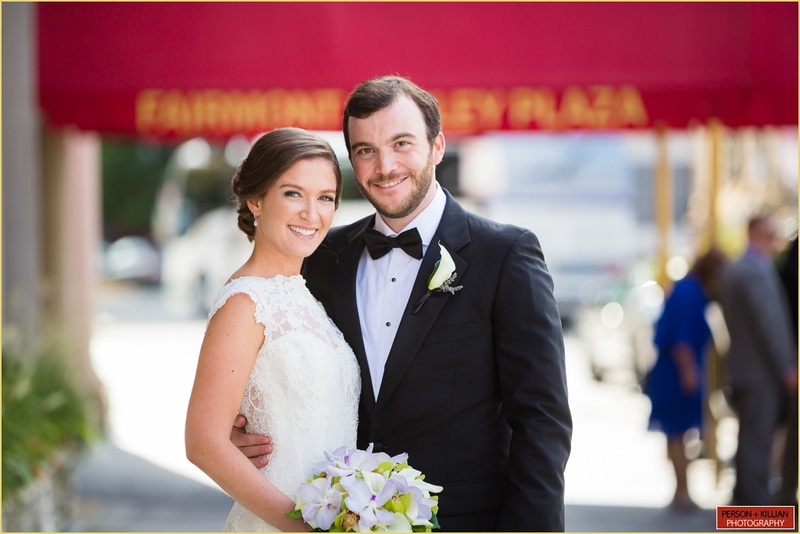 Congratulations Courtney and Kurt! 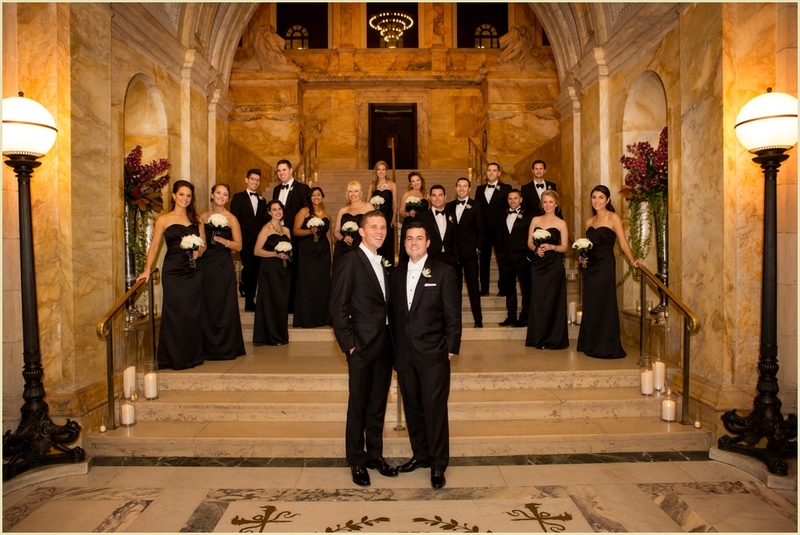 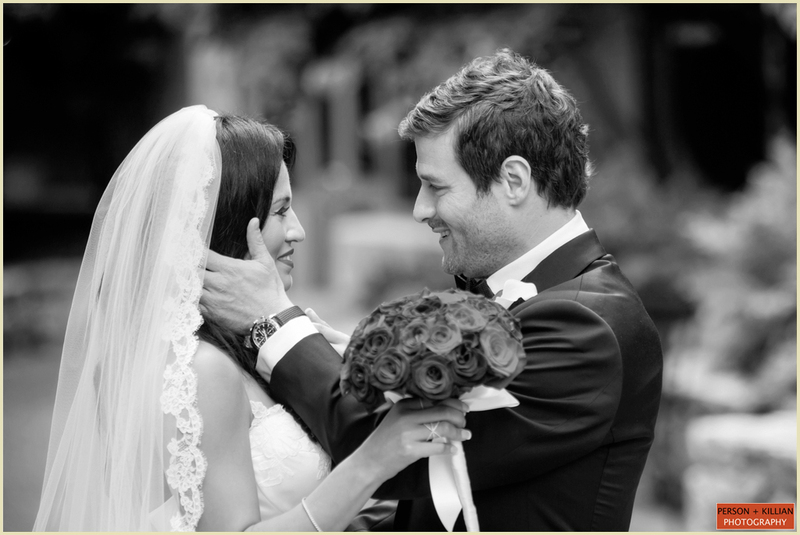 Alyssa + Dan first met at Boston University where they were both a part of the track team. 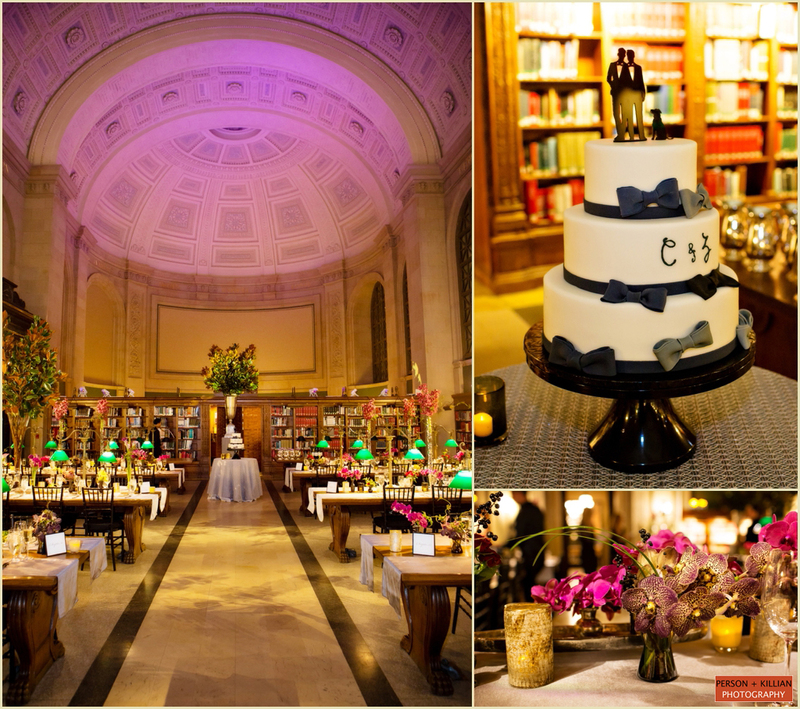 Seven years later, their summer wedding at the State Room Boston showcased their love, their alma mater, and the city that they call home! 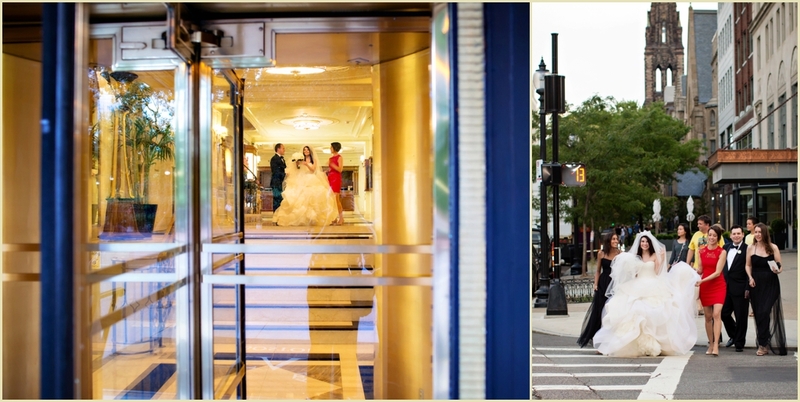 The bride and groom started the day getting ready at the Langham Hotel in Downtown Boston. 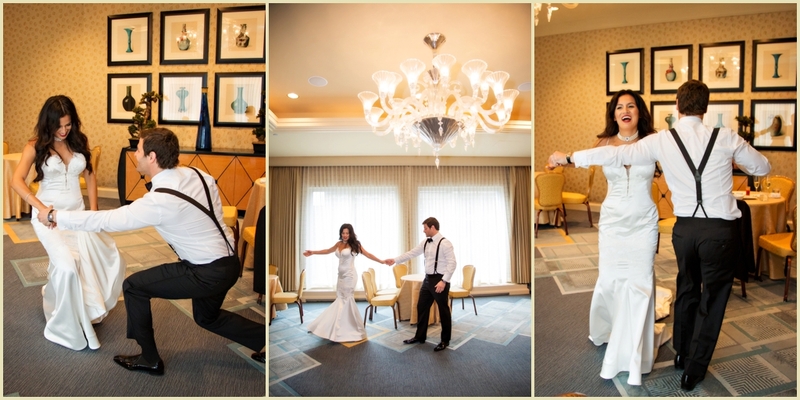 Daniel surprised Alyssa with a fun gift — a custom pair of white Nike running shoes with purple accents to match their wedding colors. 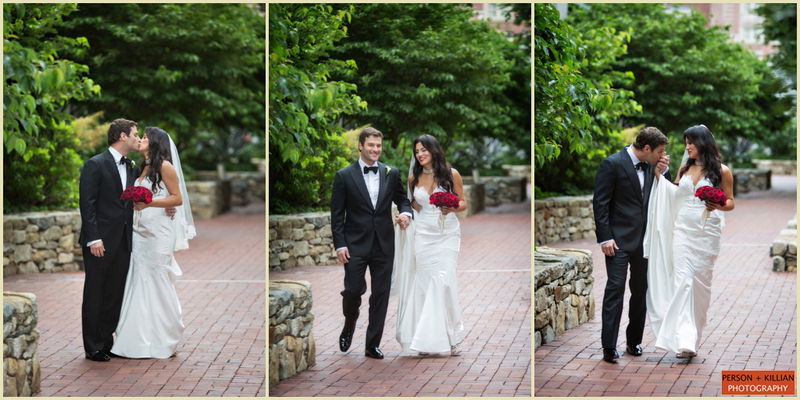 The shoes even had their wedding date and wedding hashtag printed on the back! 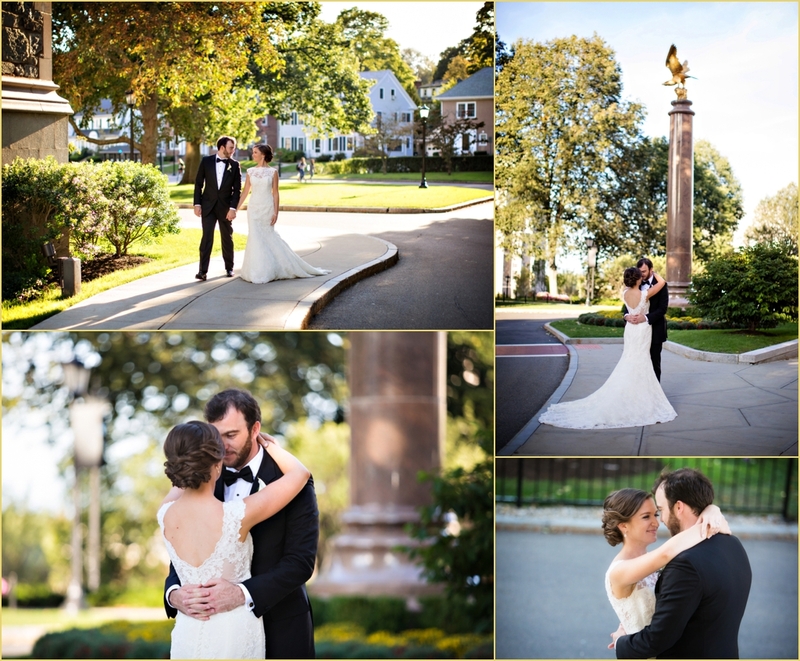 They decided not to see each other before the wedding, so we went straight to Boston University’s beautiful Marsh Chapel to start the ceremony. 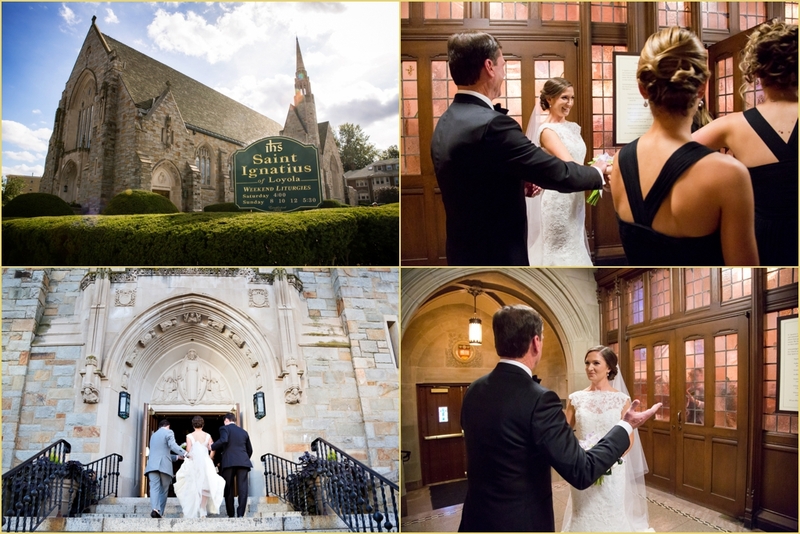 Because both Alyssa + Daniel are Boston University alum, this historic BU wedding chapel was the perfect location for their afternoon wedding ceremony. 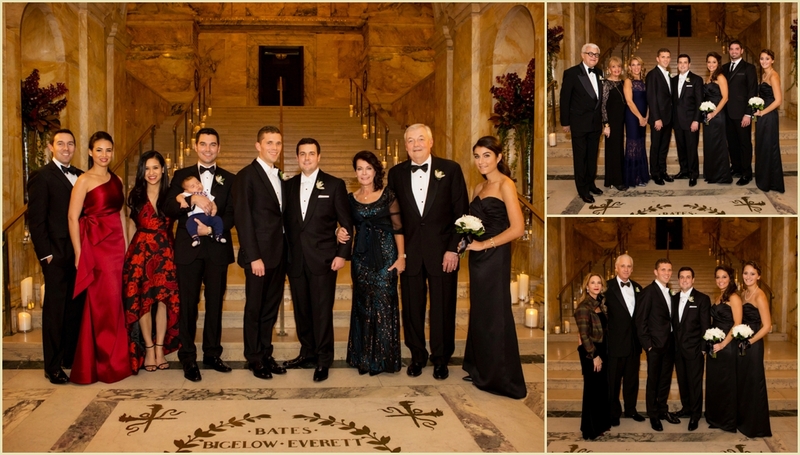 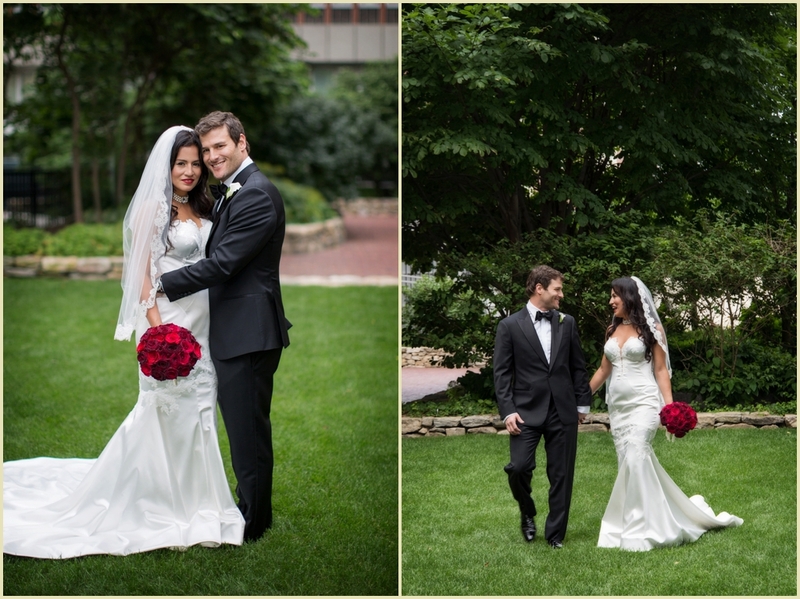 Following the ceremony, we stayed around the chapel to capture formals with the couple’s family and wedding party and took advantage of the beautiful Boston University campus before heading to the State Room Boston to start the celebration. 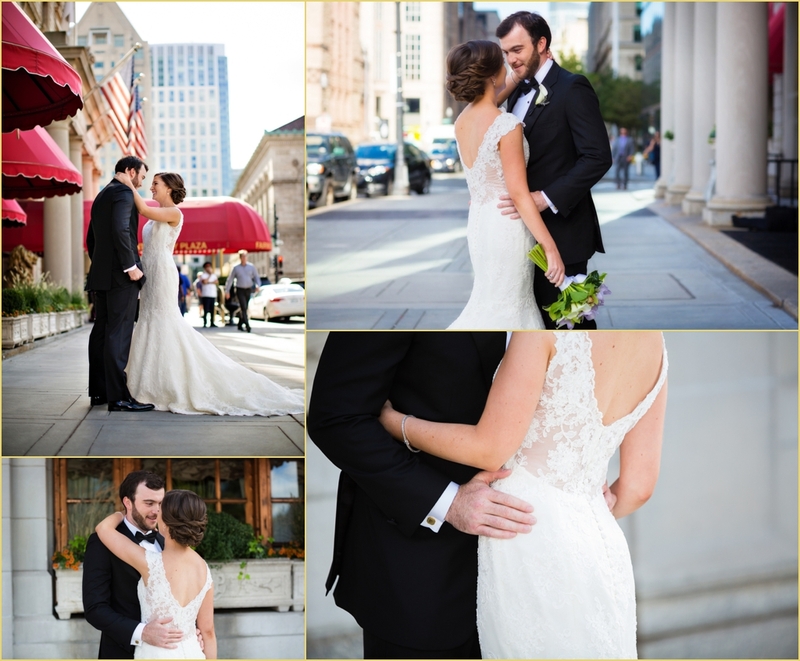 We made a quick stop en route to the State Room at Boston’s Post Office Square for some photos with Alyssa + Dan before joining the rest of the guests at the cocktail hour. 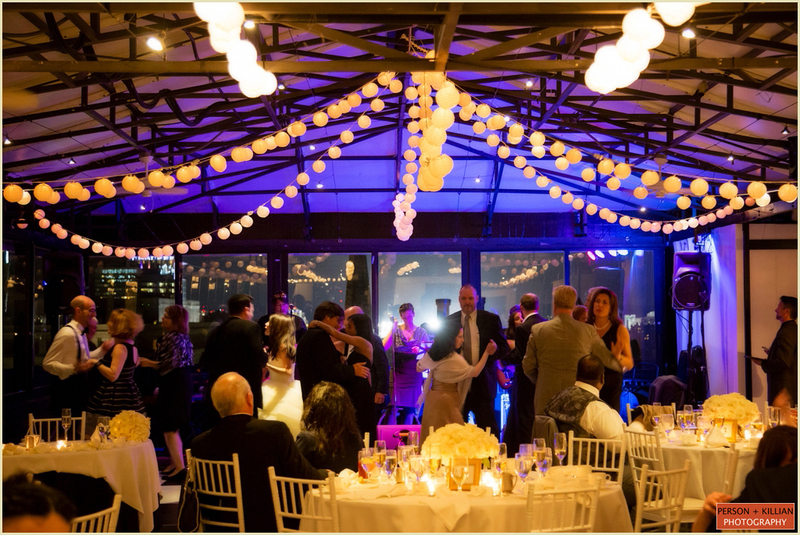 The evening reception took place in the State Room Boston’s Harborside Ballroom, 33 stories high above Boston’s bustling downtown. 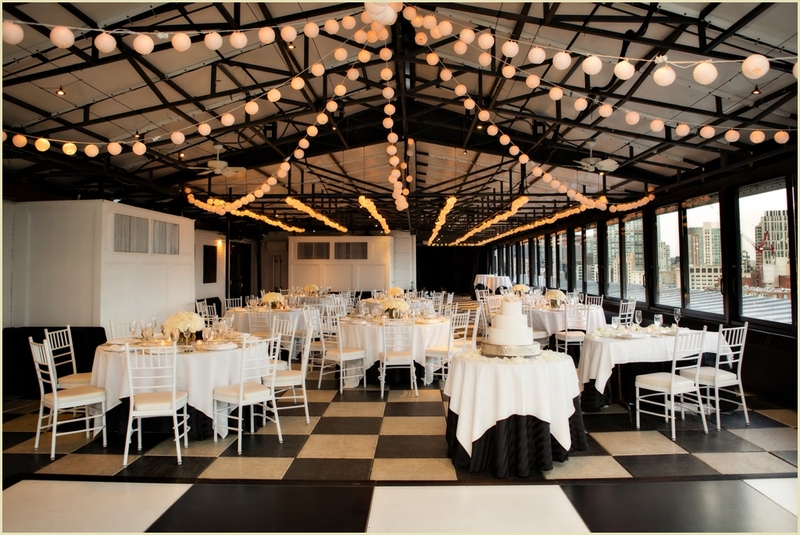 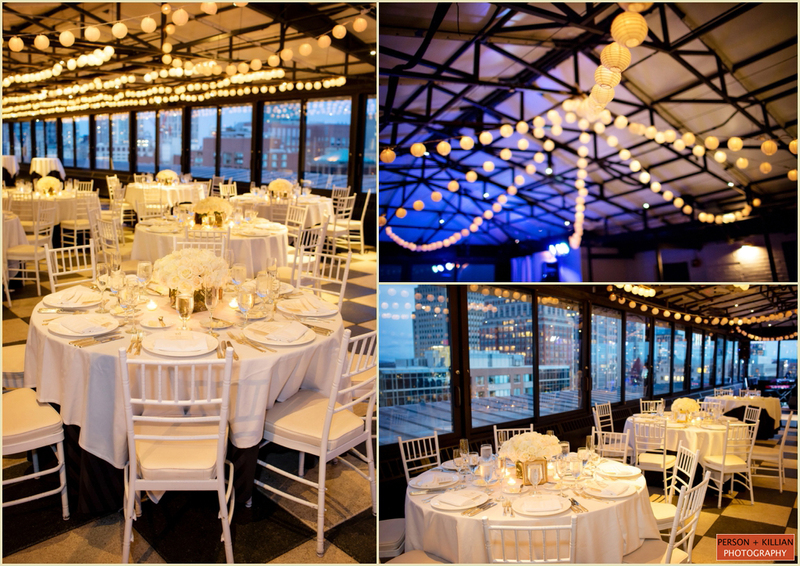 The panoramic floor-to-ceiling windows made for a stunning view of the Boston harbor and city below, and the couple chose colors of white and ivory with fun lavender and dark purple accents for their decor. 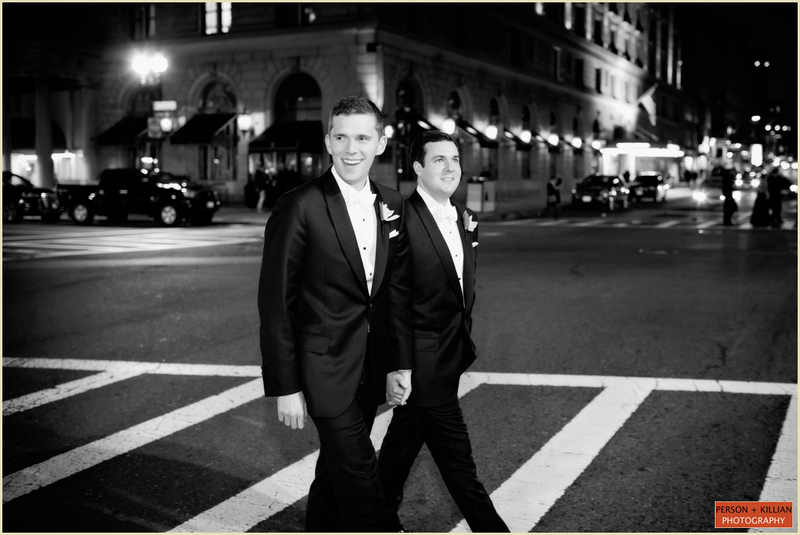 They described their wedding day inspiration as “modern city” — clean and chic. 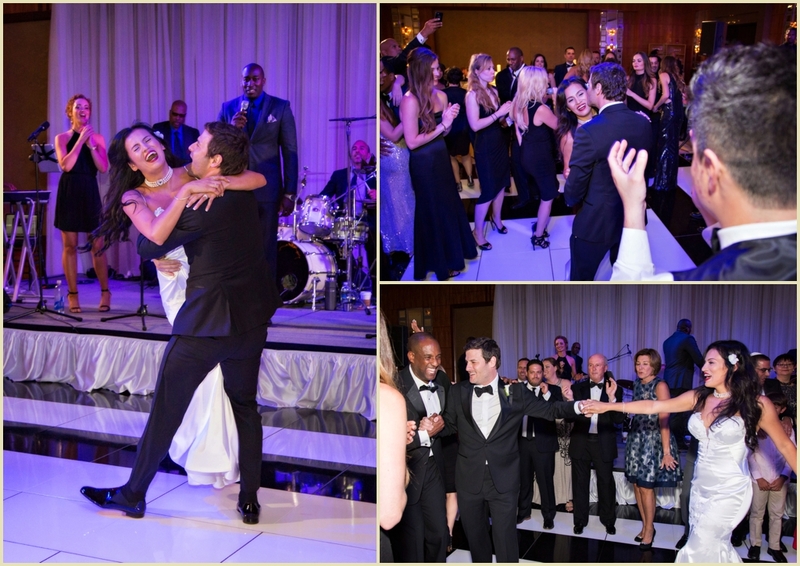 Following a first dance, toasts, and a traditional cake cutting, guests packed the dance floor to celebrate with this wonderful couple! 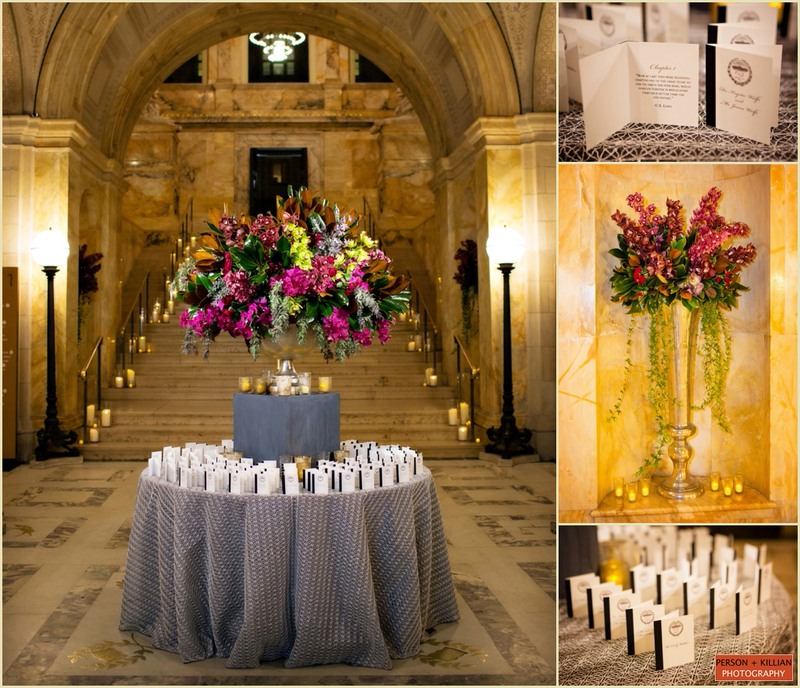 A very special thank you to the entire State Room Boston team for another flawless event. 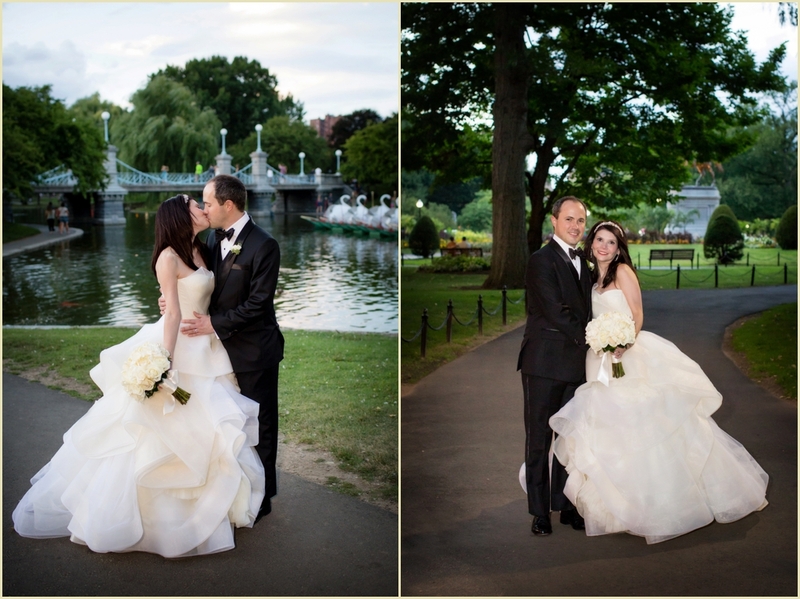 Congratulations Alyssa + Dan on your beautiful Boston wedding day! 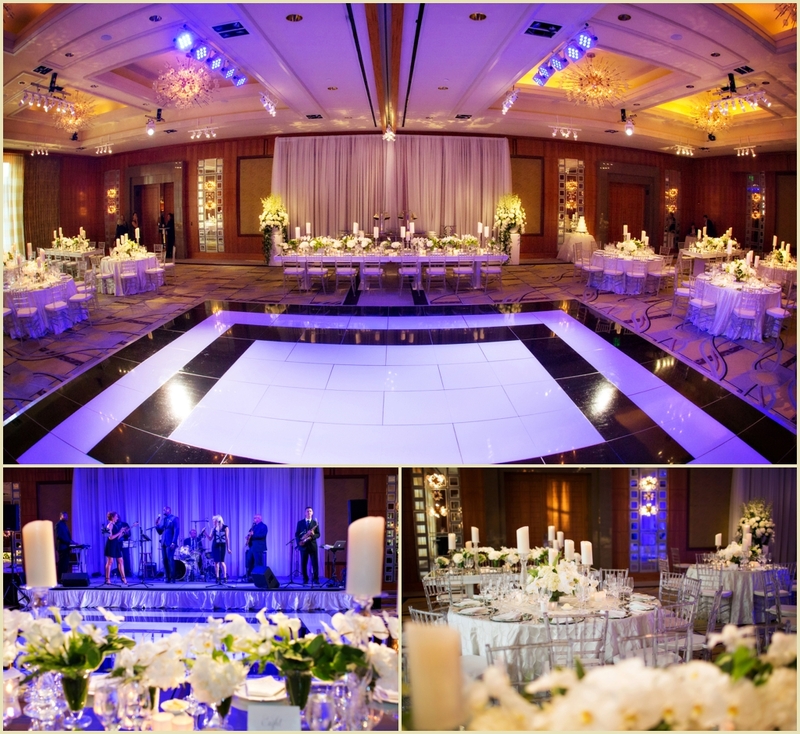 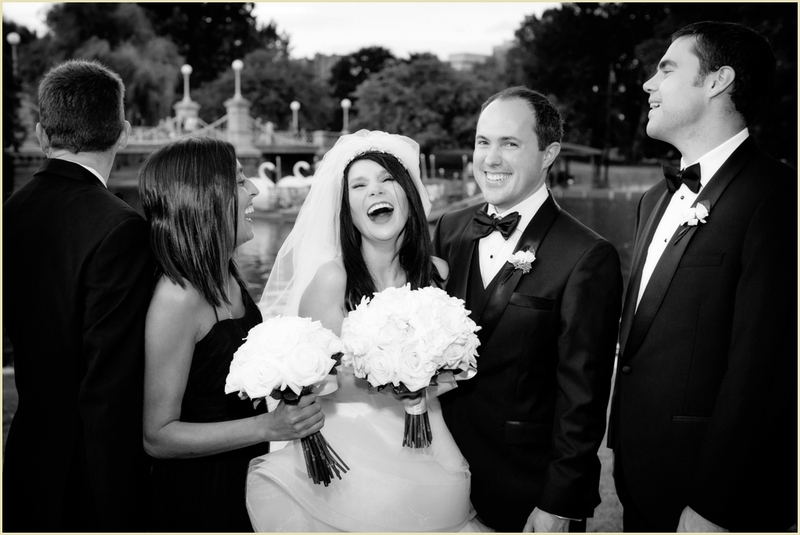 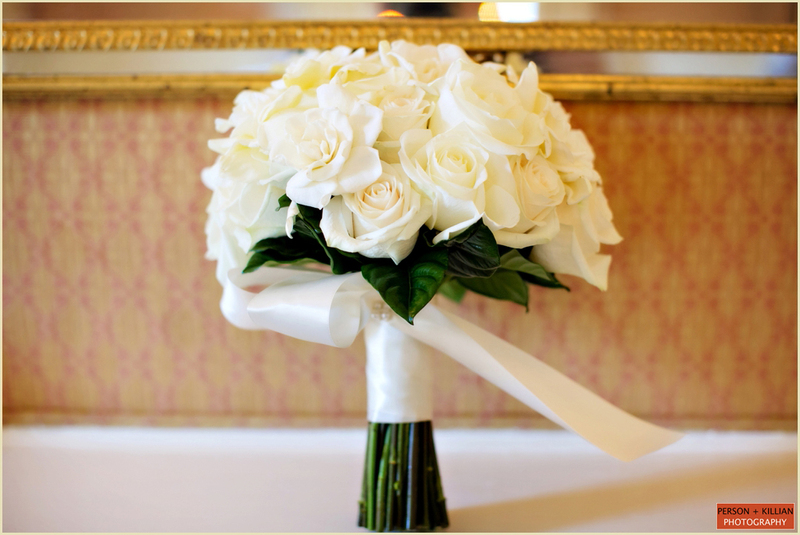 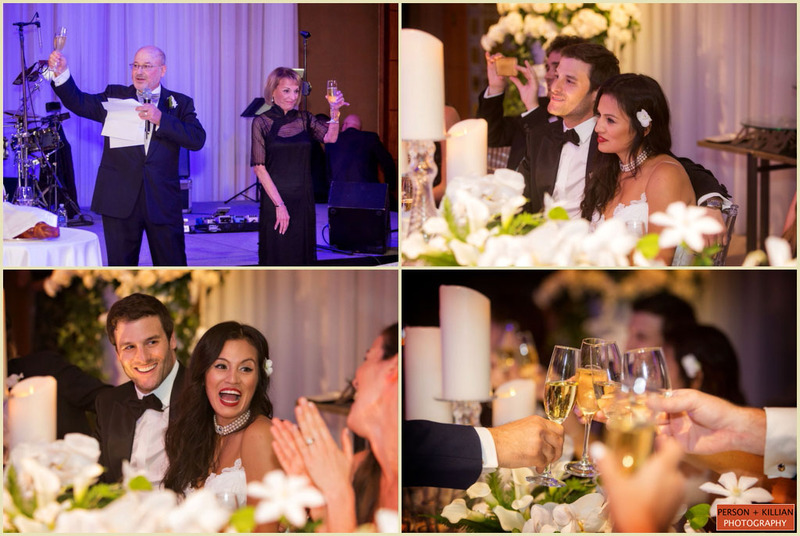 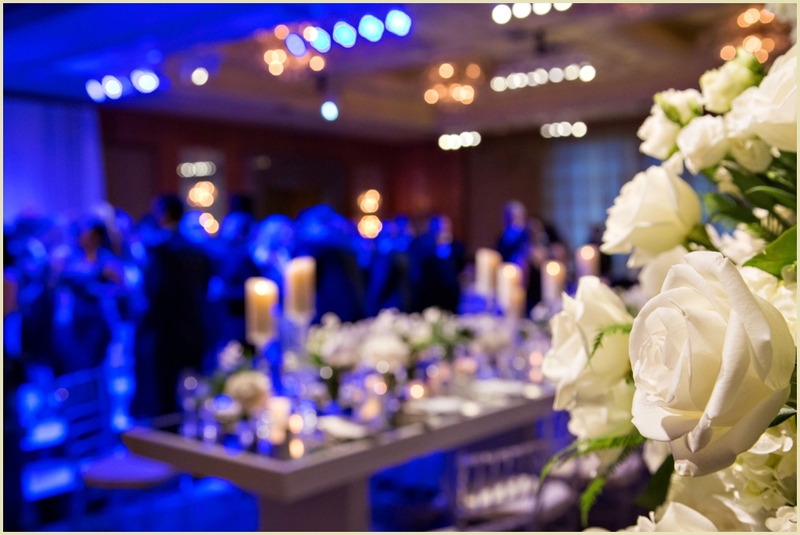 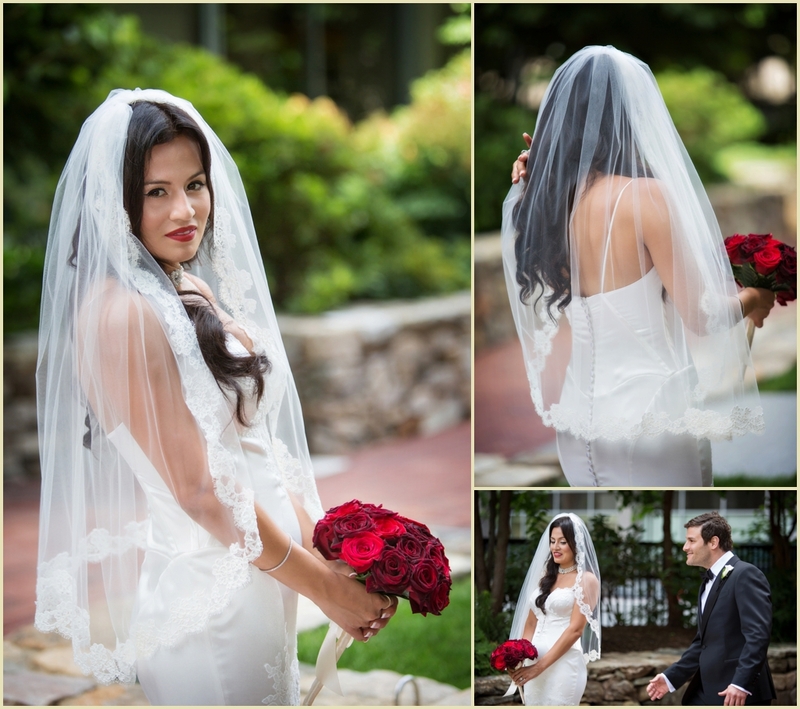 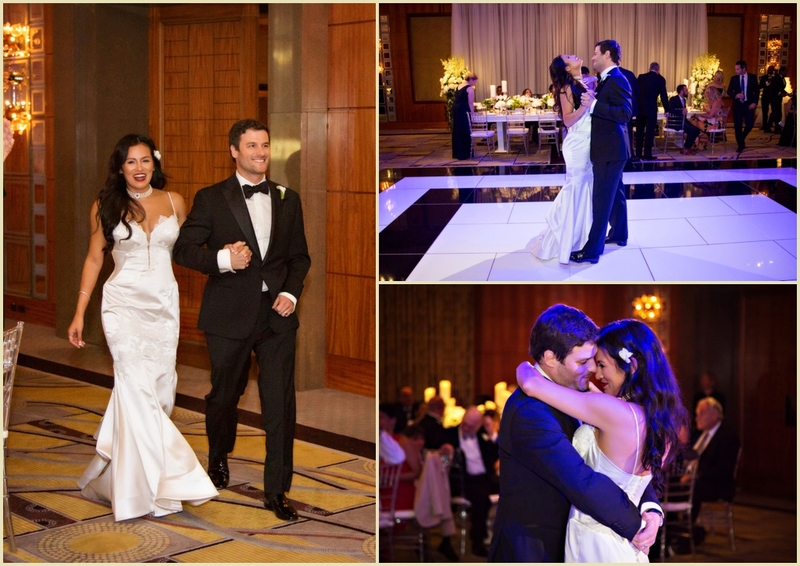 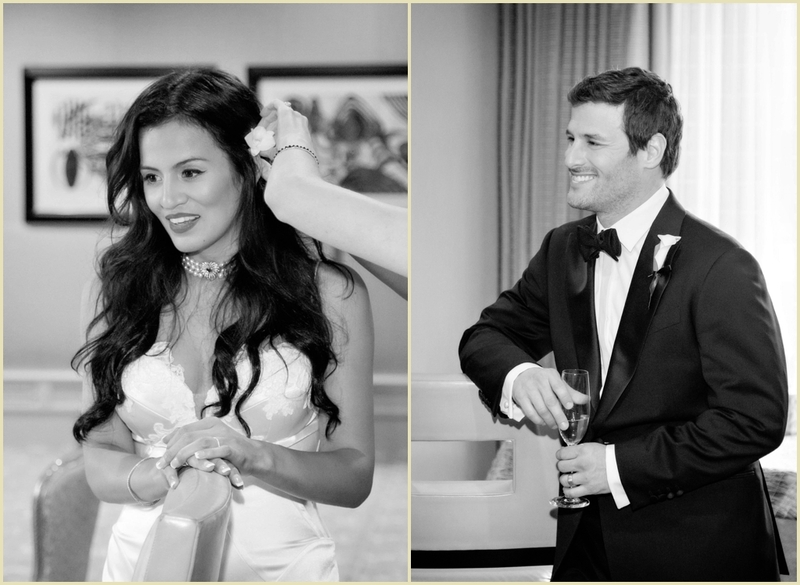 This post is filed under Classic White Wedding at the Four Seasons Hotel Boston. 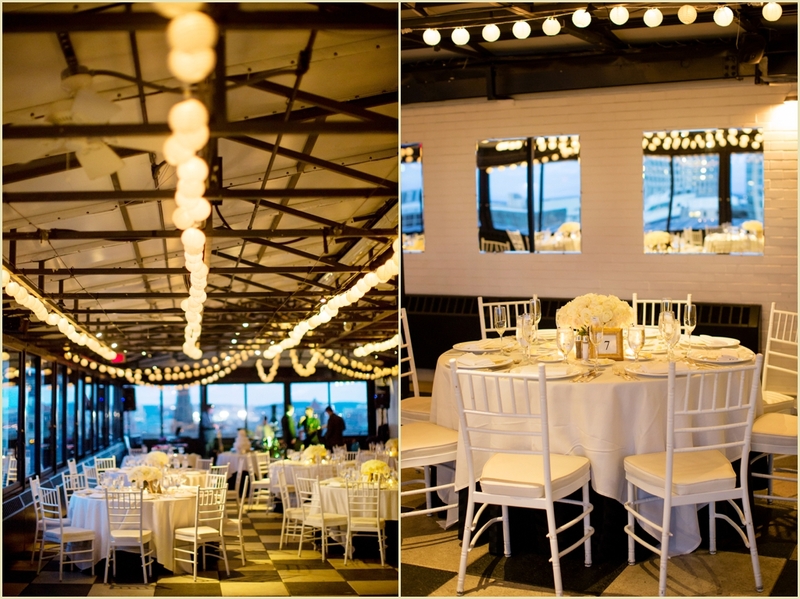 This event was photographed by Boston wedding photographers Jill Person and Lauren Killian of Person + Killian Photography. 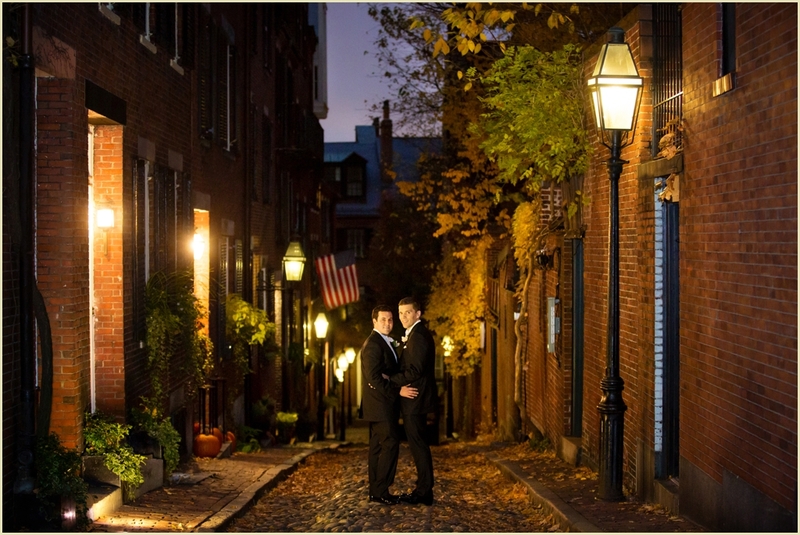 Person + Killian Photography is located at 251 Newbury Street, Boston Ma 02116. 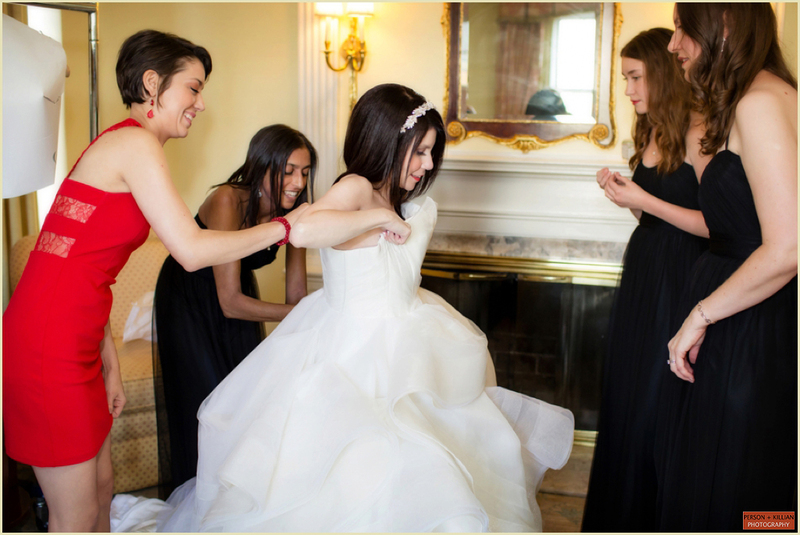 Jill and Lauren can be reached directly at [email protected]an.com and [email protected] or via telephone at 617-236-1662.